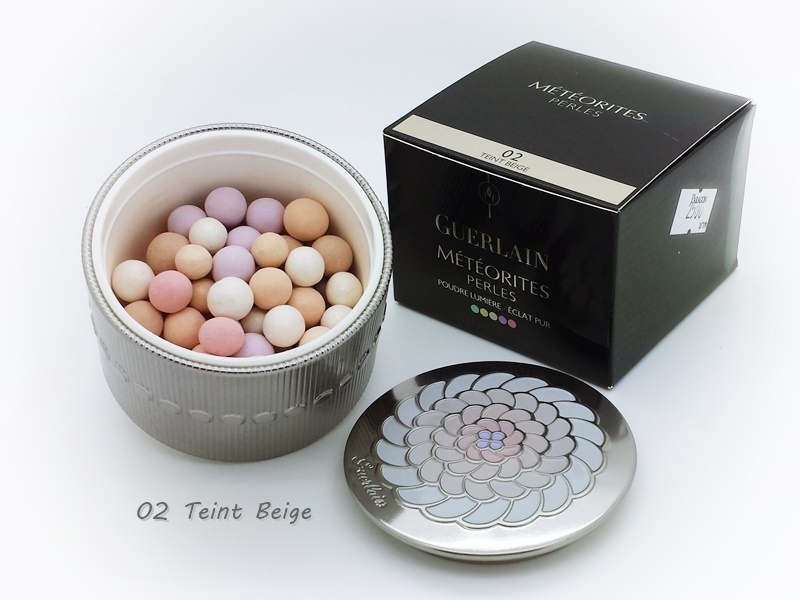 A refillable pressed powder compact with universal-flattering, pearls of powder in corrective and illuminating shades for a range of skintones. 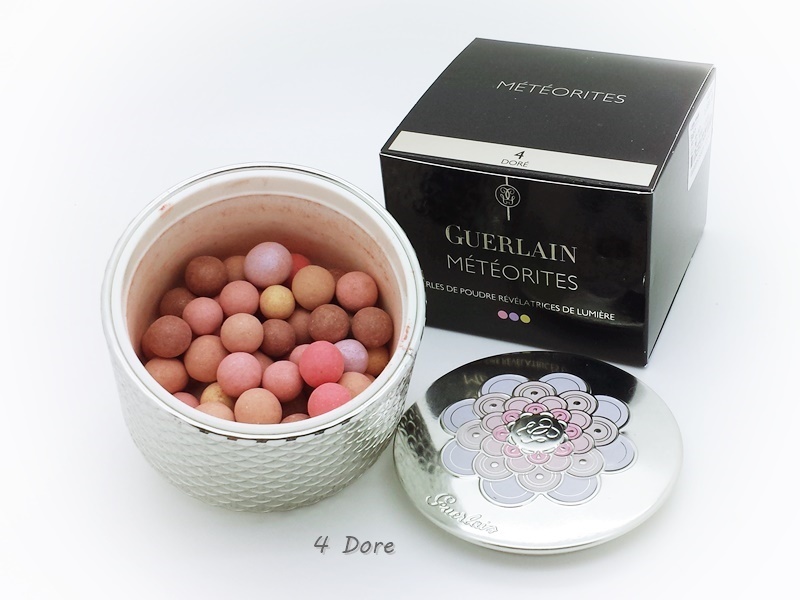 Météorites Voyage Exceptional Compacted Pearls of Powder offers a classic blend of enhancing and illuminating colors adapts to every skintone to create a youthful glow. 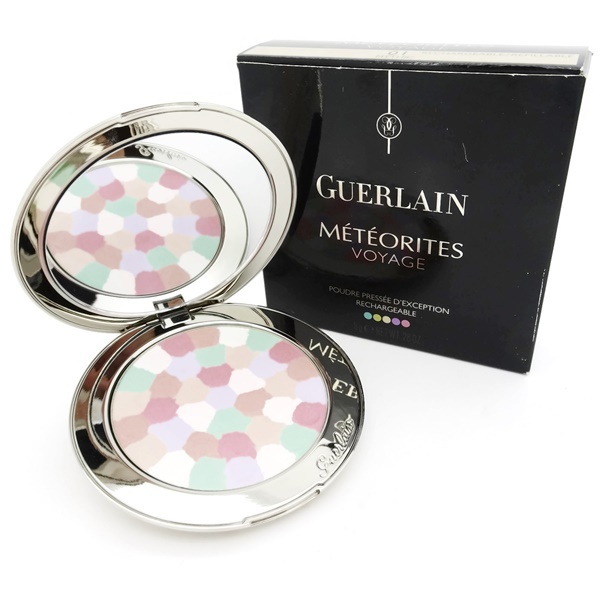 It’s formulated with Guerlain’s signature Stardust Technology: a unique complex encapsulating a celestial powder that transforms light invisible to the naked eye into visible, soft-focus, perfecting light to blur imperfections and provide exceptional radiance. 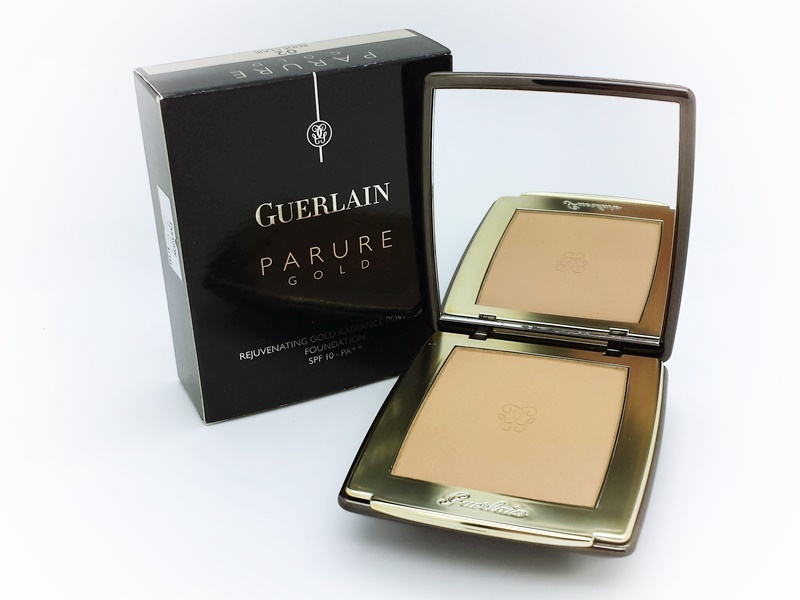 Freshen up your makeup and achieve ultimate radiance on the go with this powder that’s perfect for strobing and highlighting the complexion. 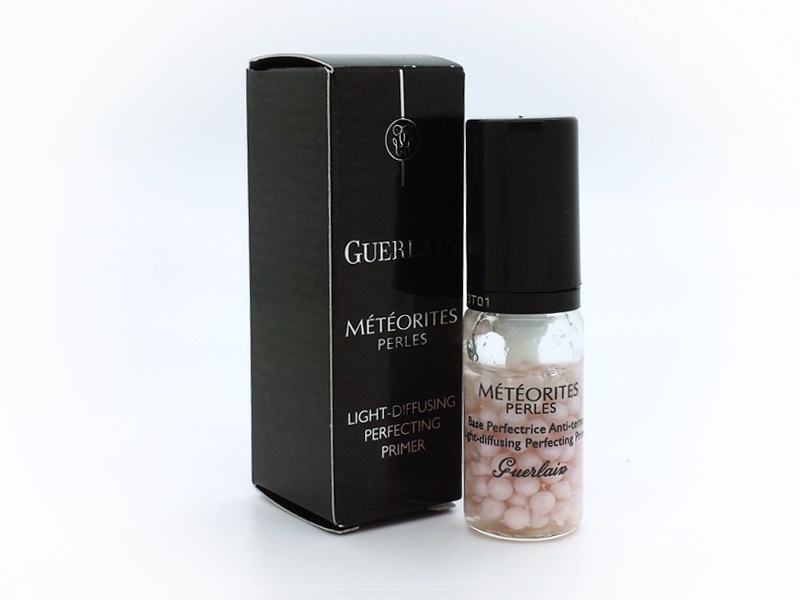 Micro-spheres of polymers encapsulate real diamond powder to transform invisible UV light in to soft-focus light that fades imperfections. 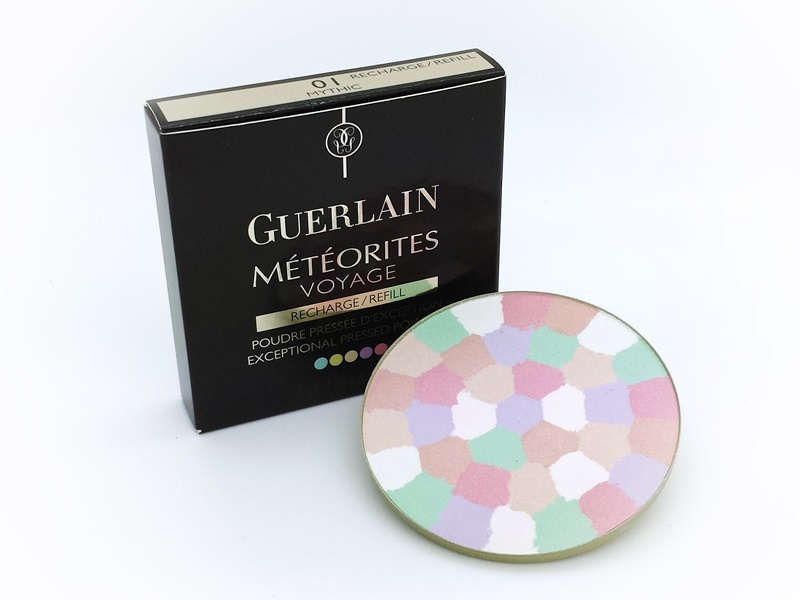 Météorites Voyage is enriched with "ultimate color correction" pearls with pink and white tones, which help to brighten the shadow areas of the face, directing light onto the rounded areas for a boost of radiance. The result: fine lines and imperfections instantly fade away. 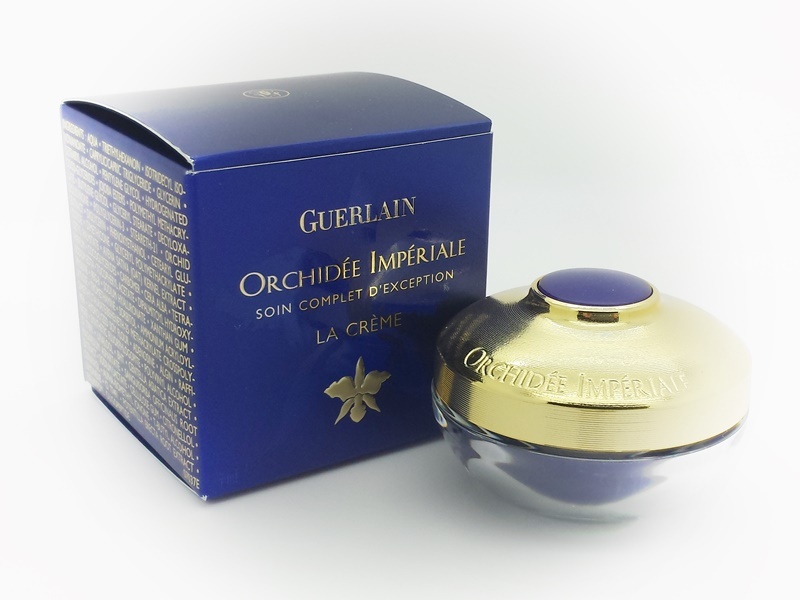 Enhanced with the revitalizing new Gold Orchid Technology, the new Orchidée Impériale Eye & Lip Cream - a fresh and soothing global age-defying treatment - brightens, smoothes and instantly redefines the contours of the eyes and lips for flawless makeup application. The eye area looks 5 years younger*. 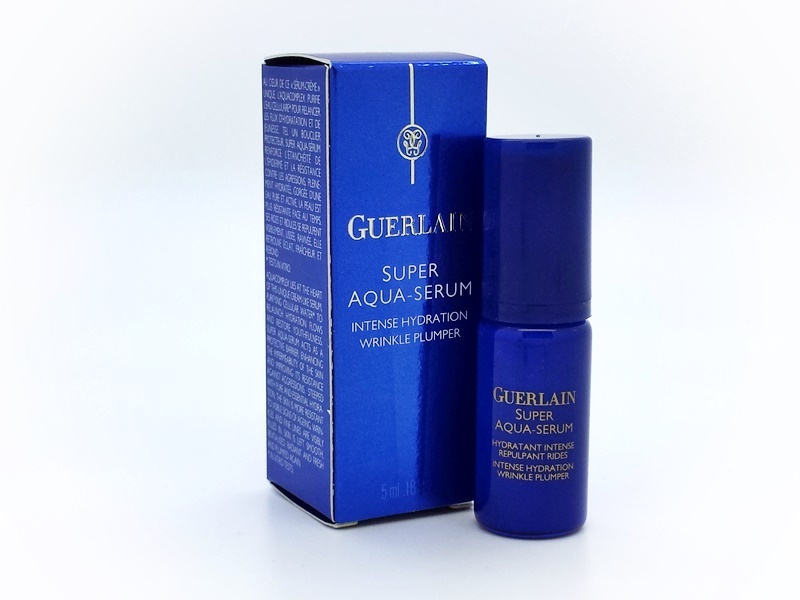 How to use: Apply a little serum morning and night with tightening smoothing strokes, moving from the inside to the outside, first below the eye and then above. 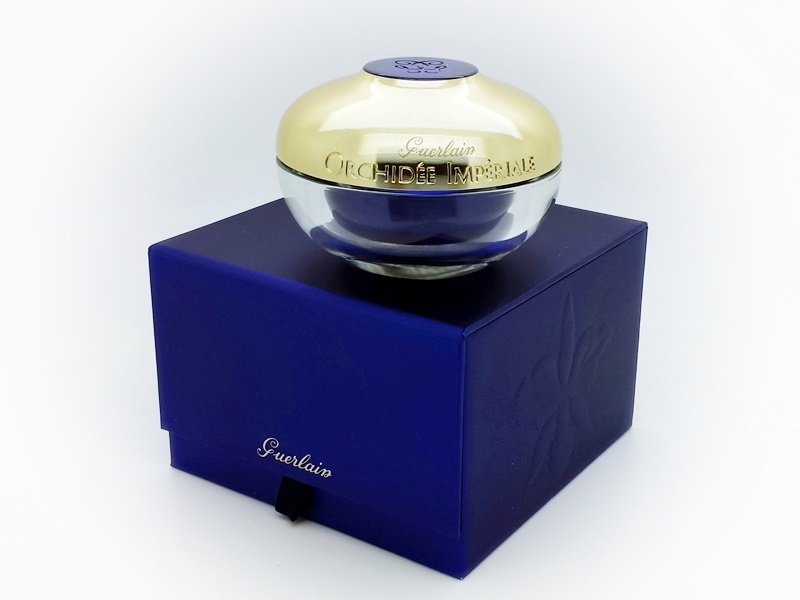 Guerlain has developed an expert beauty ritual to fully awaken the radiance of your eyes. Smooth and tone the eye contour area by applying a little serum morning and night with tightening, smoothing strokes from the inside to the outside, first below the eye and then above. 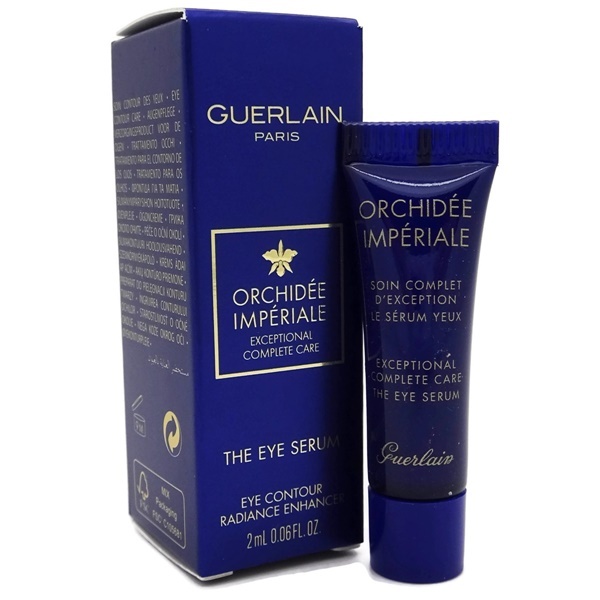 Finish the application by pressing on the outer corner of the eye. Reveal your luminosity by gently tapping your fingers around the eyes. Apply more pressure to the eye contour area using the index and middle fingers. 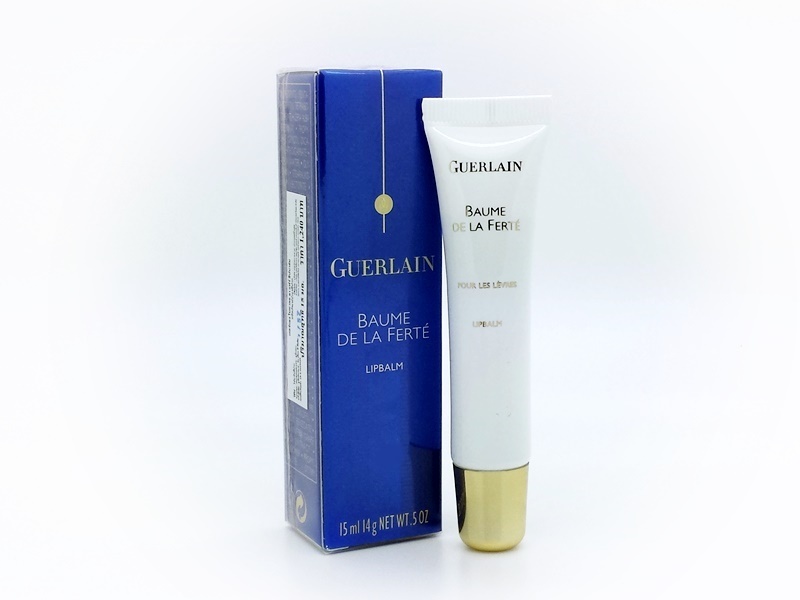 A cult product since 1830, this balm is formulated on the basis of wine tannins from Bordeaux. 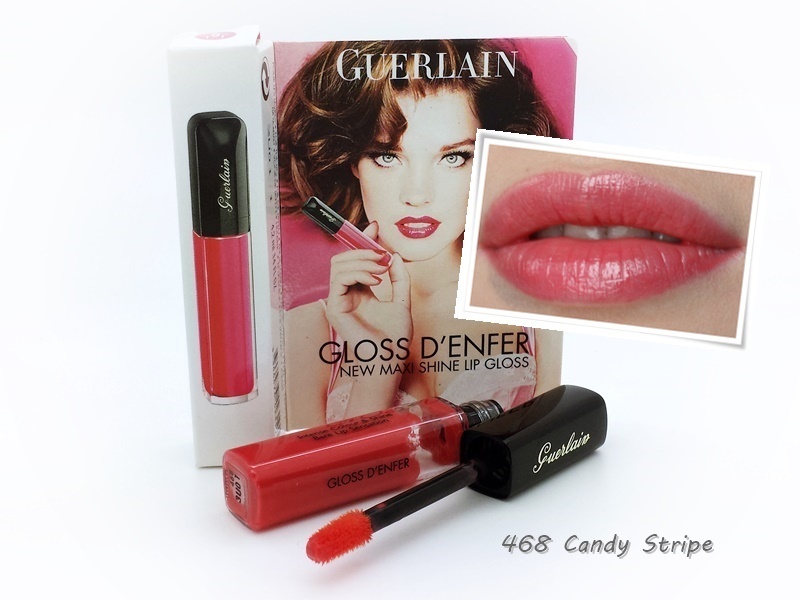 Lightly tinted, it cares for the lips and protects them against becoming chapped and dry. Lips are soothed and plumped up. 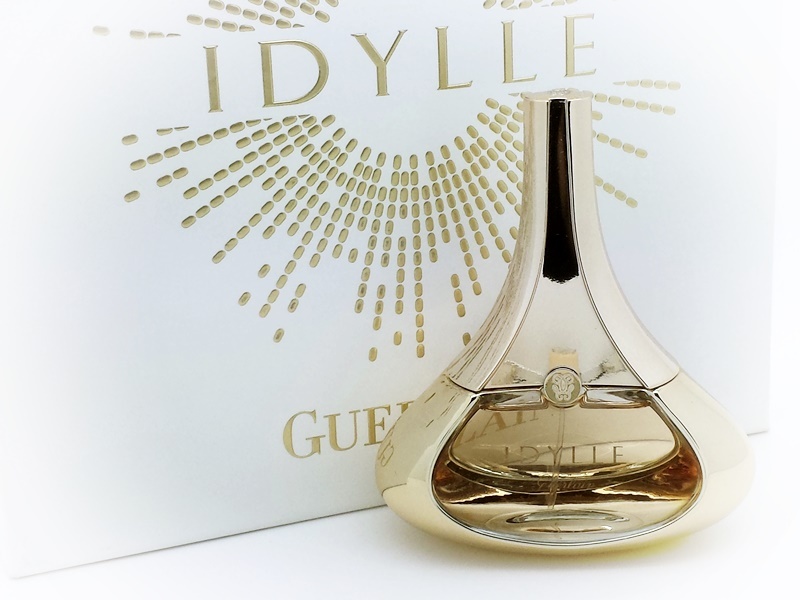 The third-generation Orchidée Impériale Cream concentrates new Gold Orchid technology. Based on a major discovery in terms of cellular bioenergetics, this technology boosts and reinforces the bioenergetic network, the key to skin regeneration, to activate cell fertility. 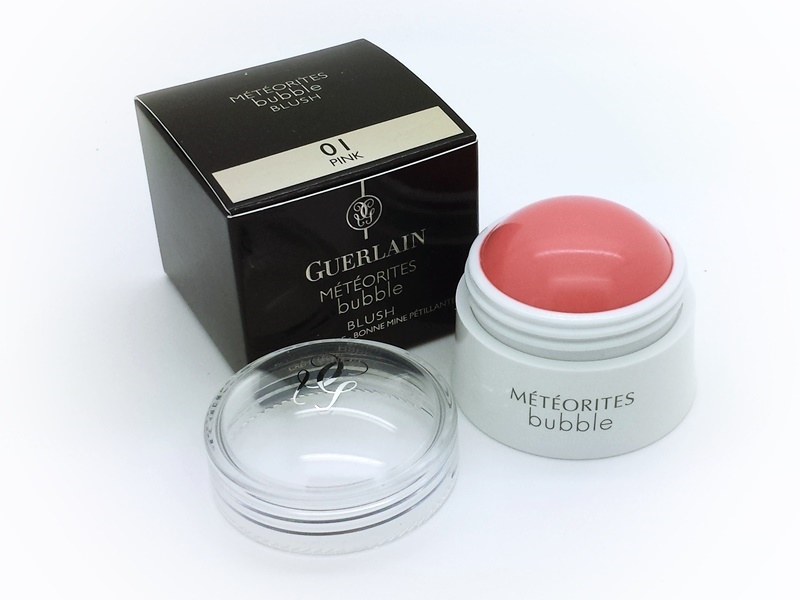 The fine, melt-away Cream envelops the face in a silky and comfortable film. 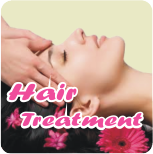 The skin recovers density and firmness; the facial contours are even. Wrinkles and fine lines are smoothed and the skin texture refined. As if perfectly renewed and refreshed, the skin is revived and glows with vitality and radiance. 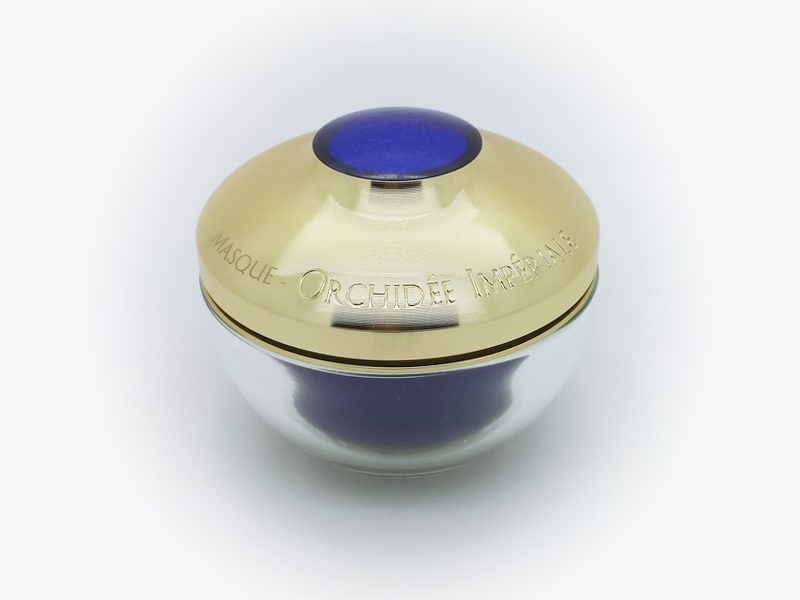 This essential first step to the anti-aging ritual maximizes the Orchidee Imperiale skin care benefits. Enriched with orchid water, this toner primes the skin with preliminary age-defying action and deeply moisturizes and densifies the skin in an instant, refining its texture. 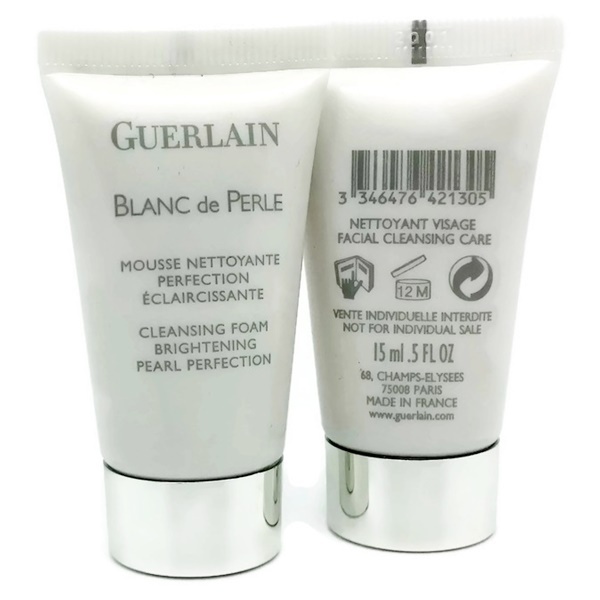 After use, the skin is firmer, smoother and pores are tightened. 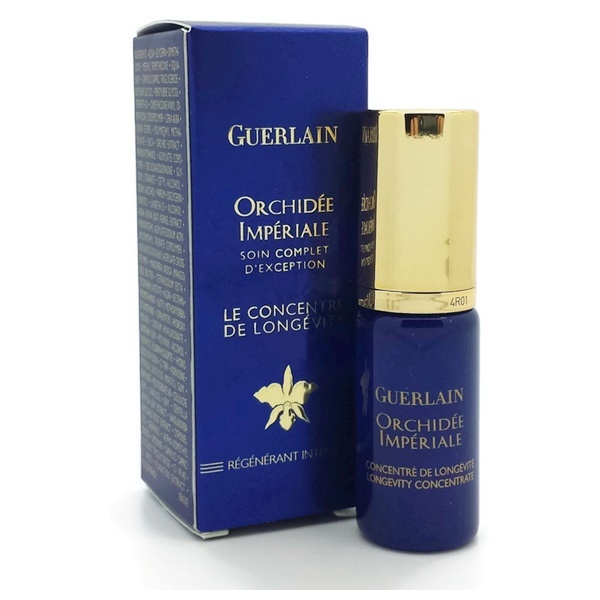 This new-generation serum combines a record concentration and diffusion of Imperial Orchid Molecular Extract to correct all the signs of skin ageing rapidly and intensely. 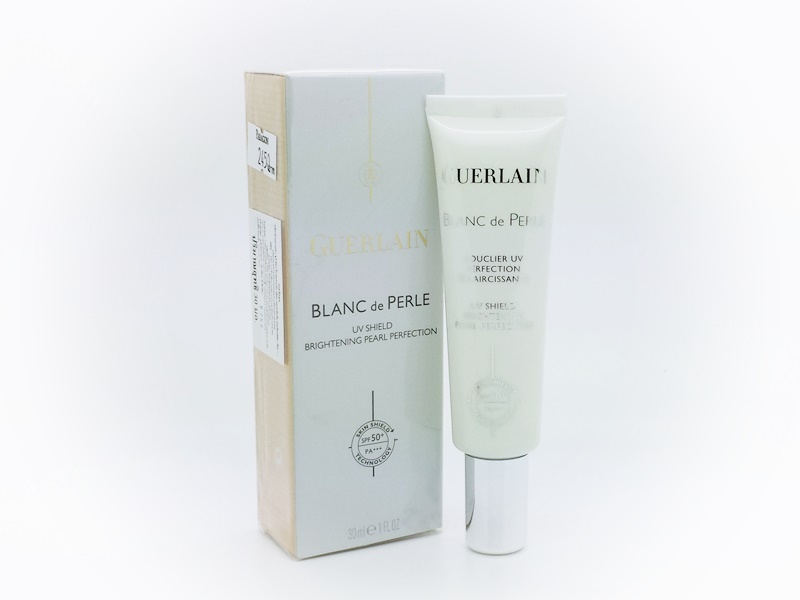 Its innovative retexturising formula tightens the mesh of the skin to restore its dense and even firmness and give a spectacularly refined skin texture. 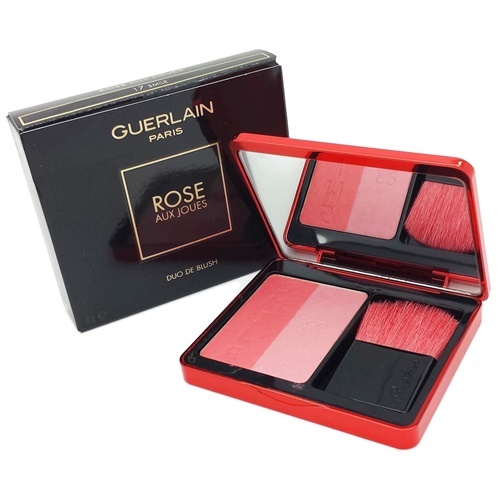 Rich and sheer, melting deliciously upon application, it leaves a supple, velvety finish on the skin. 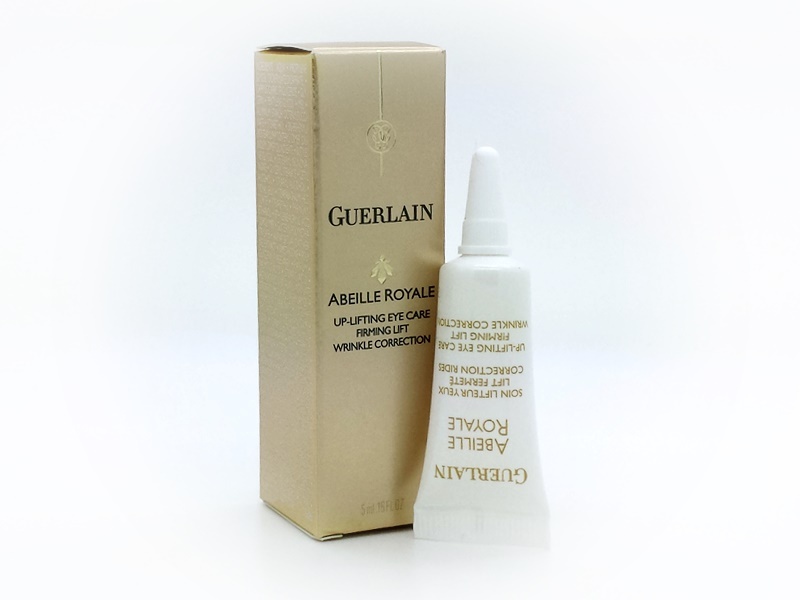 The Longevity Concentrate makes the perfect complement to the Cream, used daily or as an occasional intensive treatment, to reinforce its effects. 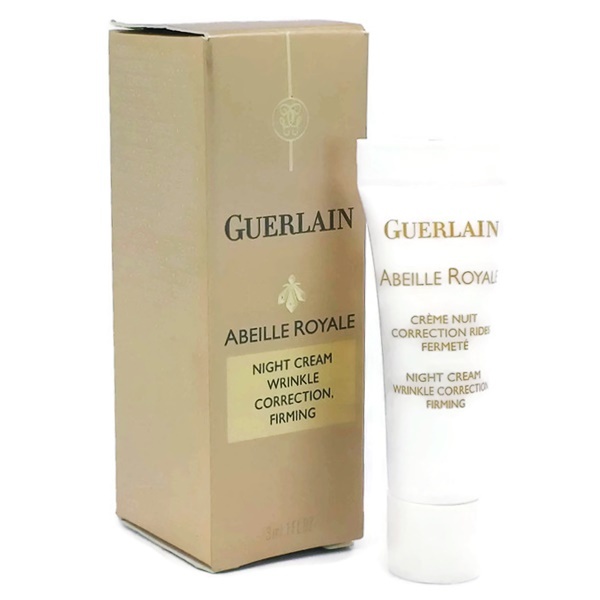 An exceptional night cream that redefines the contours of the face while repairing and regenerating the skin. 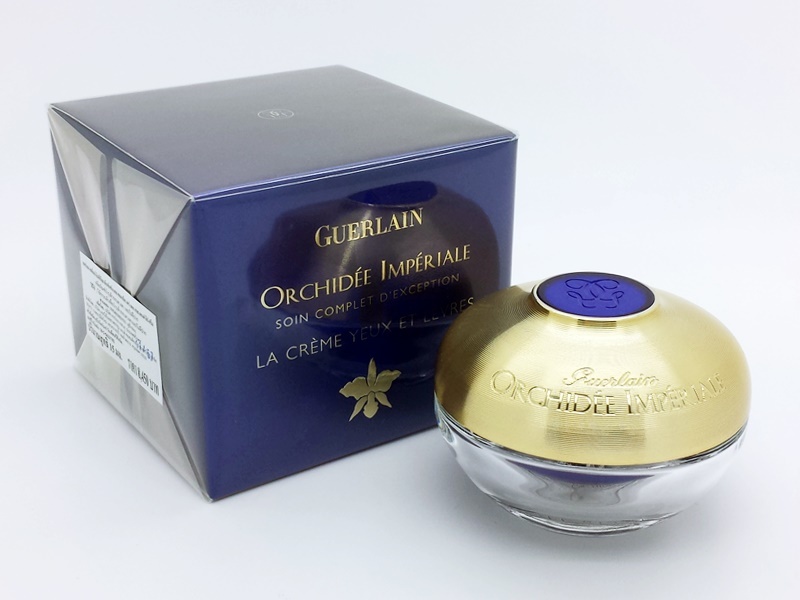 This ultra-concentrated cream is formulated with Guerlain-exclusive Royal Jelly to inspire a visible, intensive lifting effect. Extremely rich and soothing, this formula provides the skin with essential nutrients and enhances its ability to repair and regenerate overnight. Awaken with skin that feels firmer, denser, and seems transformed, while the facial contours appear redefined and youthful. 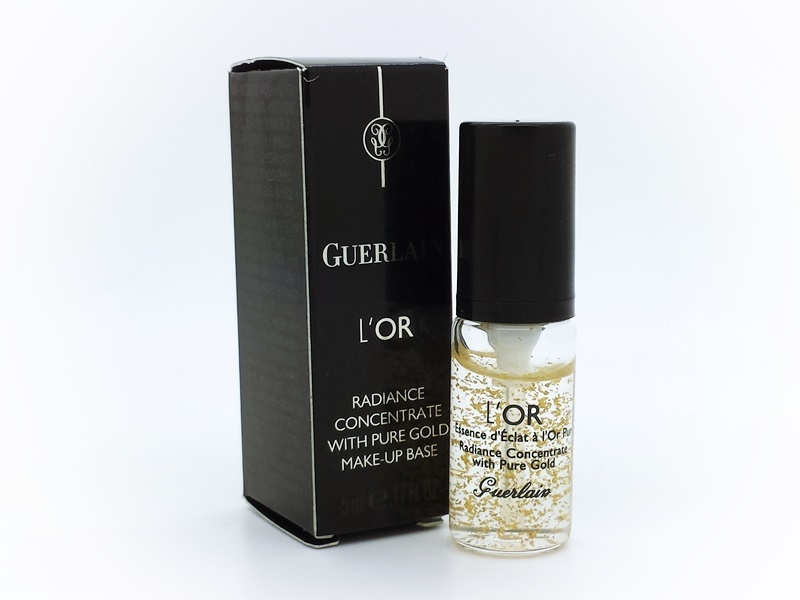 A lightweight, gel-like facial treatment infused with organic honey and Guerlain’s pure royal concentrate that hydrates dry, damaged skin and improves visible signs of aging. 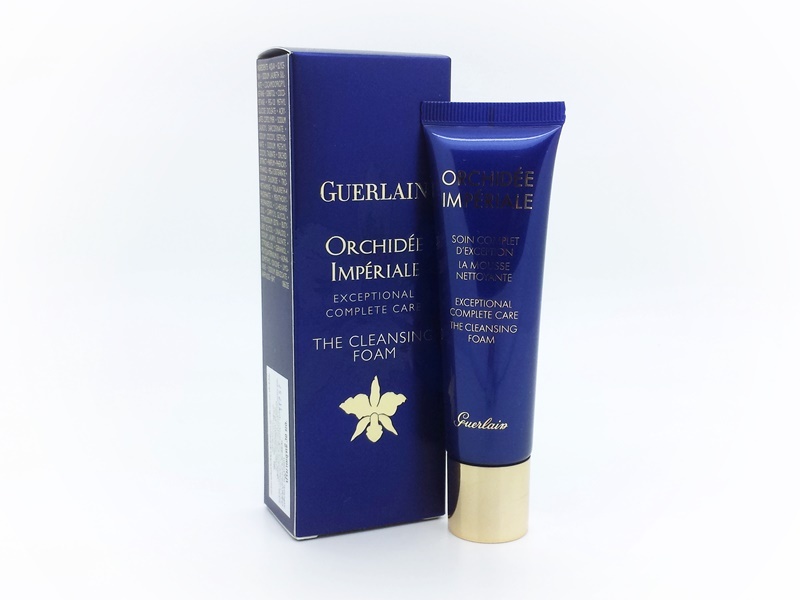 This gel-like mask is infused with organic honey from Guerlain’s Solange Forest and pure royal concentrate, an exclusive active ingredient produced by pollinating bees and intended as food for the Queen Bee. The powerful yet soothing formula improves visible signs of aging including fine lines, wrinkles, and loss of firmness. To use as an overnight mask, simply apply before you go to bed and leave it on throughout the night—allowing the skin to achieve full hydration. 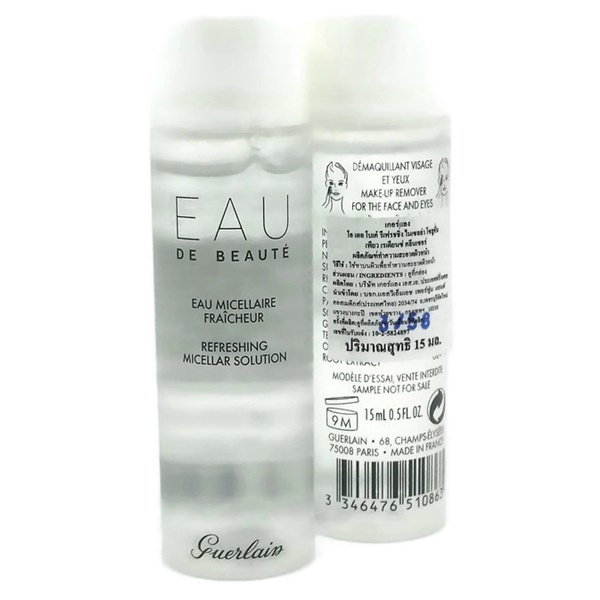 ❥ Eau de Beaute Micellar Cleansing Water ขนาด 15ml. 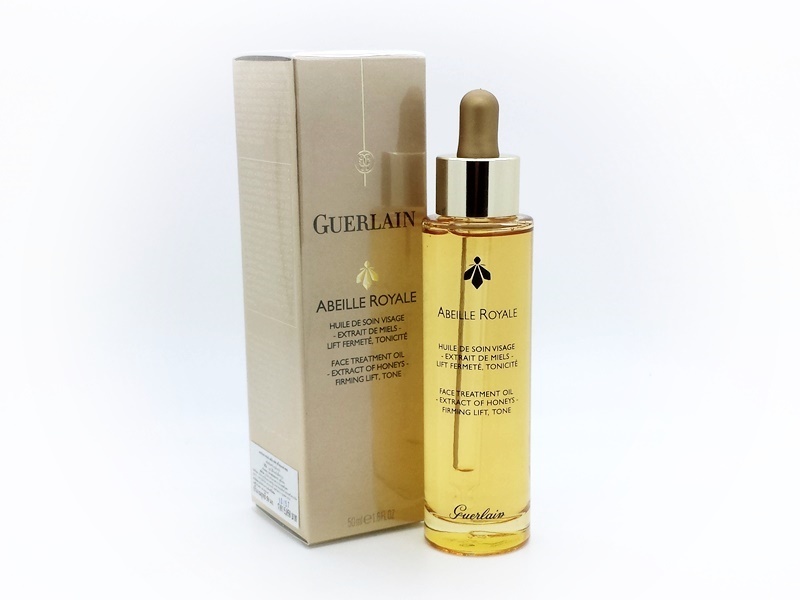 ❥ Abeille Royale Preparing Toner 40ml. 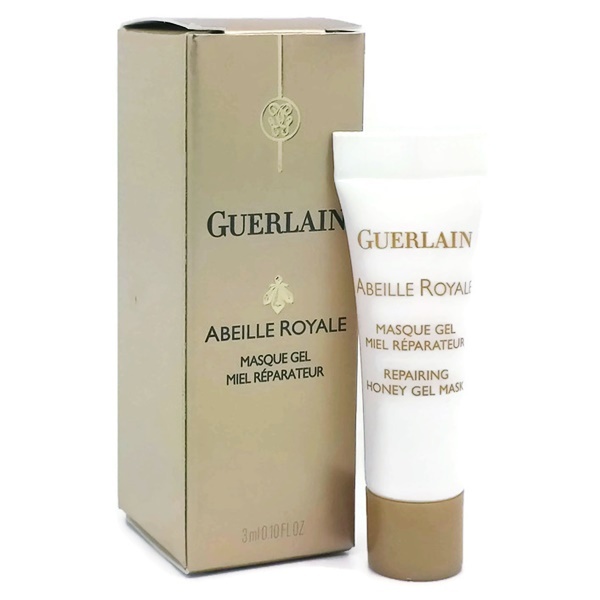 ❥ Abeille Royale Repairing Honey Gel Mask 10ml. 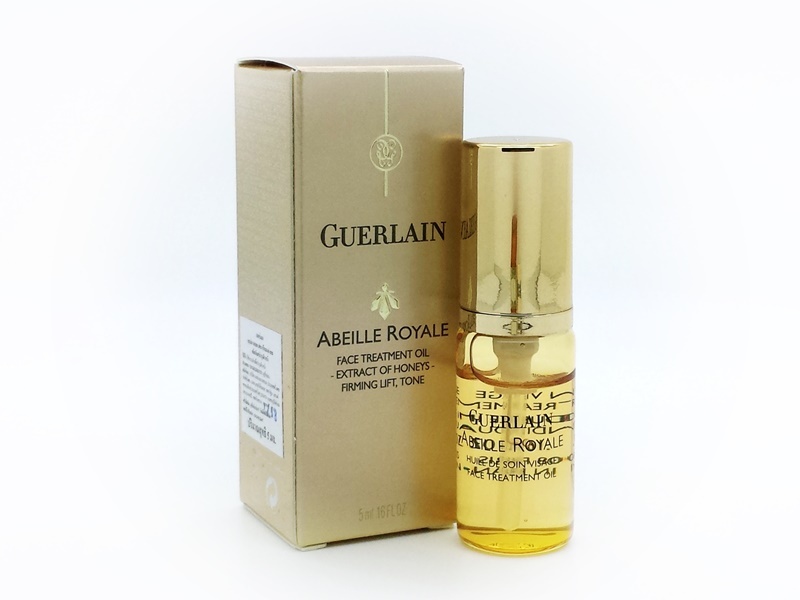 ❥ Abeille Royale Night Cream 3ml. ❥ กระเป๋าเครื่องสำอางค์ ขนาด 21*15 cm. Bee products are some of the world’s most effective natural healing substances. 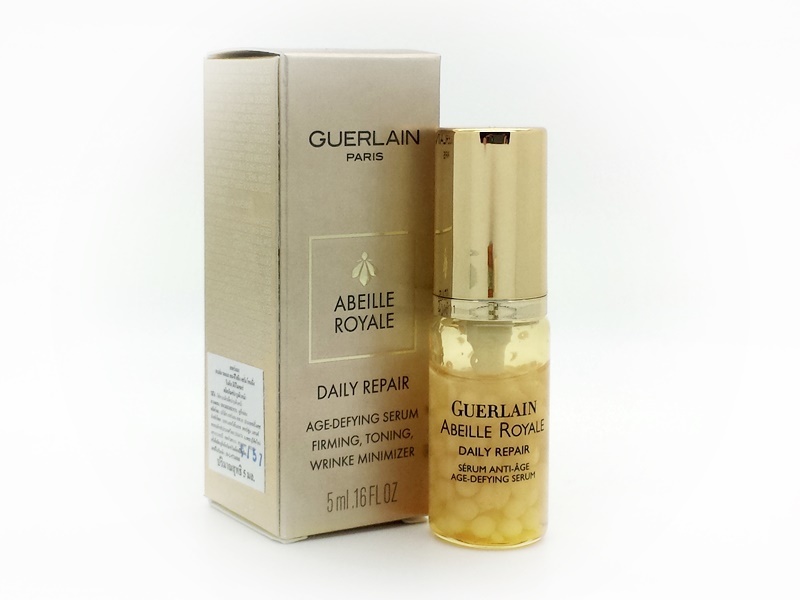 Guerlain Research has extracted their active power to create Abeille Royale: a skincare programme with Pure Royal Concentrate that stimulates the key mechanisms in the healing process within the skin* to continuously help to repair wrinkles and loss of tissue firmness (*In vitro test). 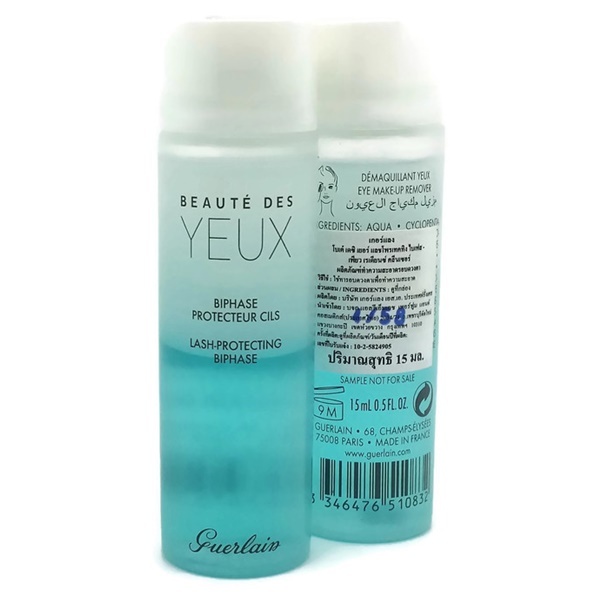 This extremely gentle eye makeup remover by Guerlain cleanses the eyes and strengthens lashes, offering instant comfort and an amazing feeling of cleanliness. 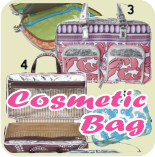 Its protective biphase solution, effective on all kinds of makeup including waterproof, won't leave behind a greasy film. It's formulated with nigella flower oil, which boasts wonderful antioxidant and anti-inflammatory properties. 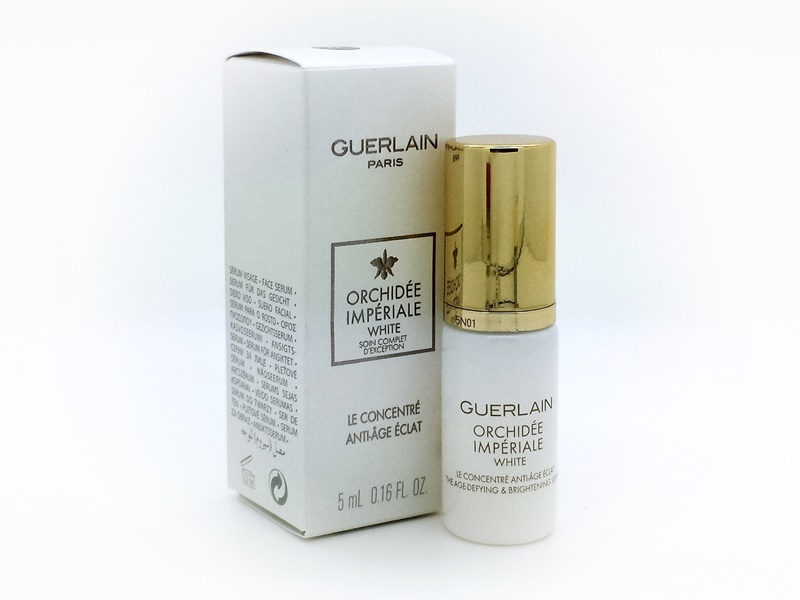 This gentle, thorough product offers the skin all the purity, radiance and freshness of a flower. Its exclusive signature fragrance enfolds the skin in delicate scent, blending the purity of white tea, the comforting freshness of musky notes and a touch of jasmine. Shake well before use. 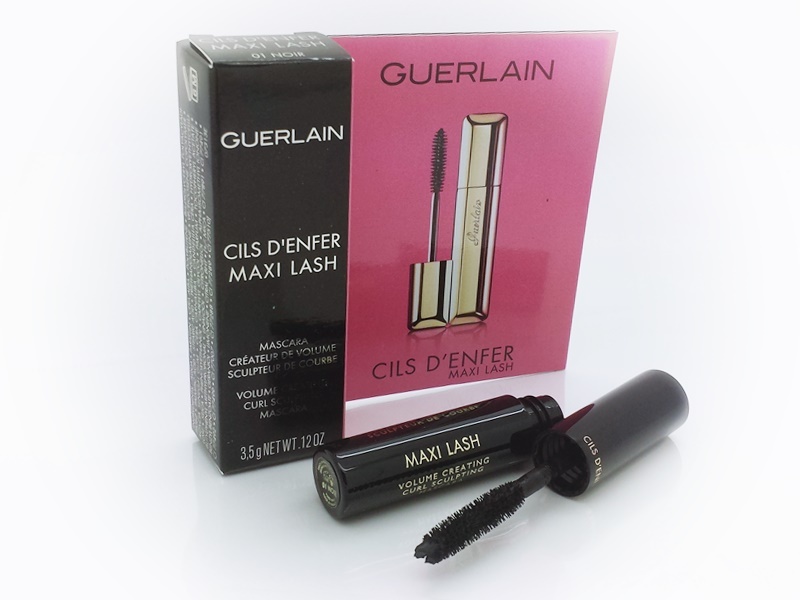 Apply to a dampened cotton round then sweep over eyelids and lashes for quick and effective makeup removal. A micellar cleansing water for face and eyes featuring nigella oil, uniting makeup remover, cleanser, and toner in just one step. 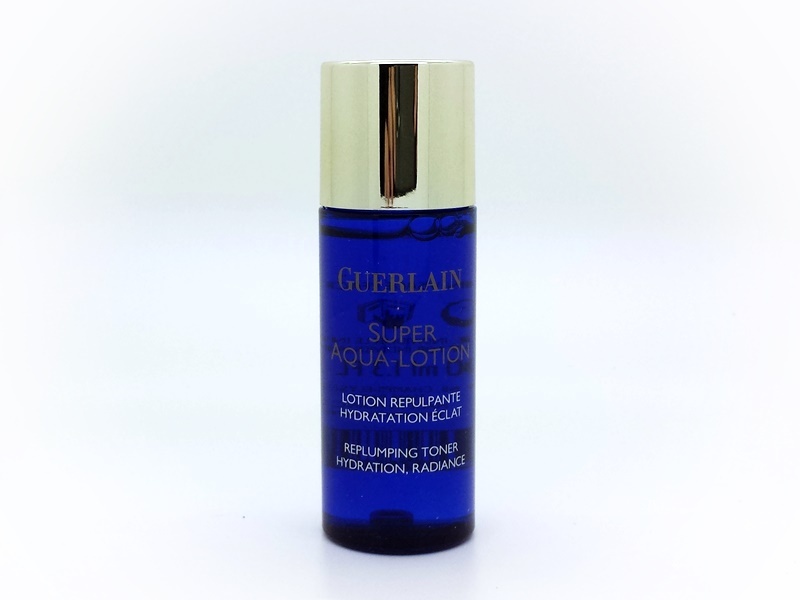 The most essential step of any skincare routine, Guerlain’s exceptional Micellar Cleansing Water is setting a new standard to gently cleanse and beautify skin while providing a unique sensorial experience. 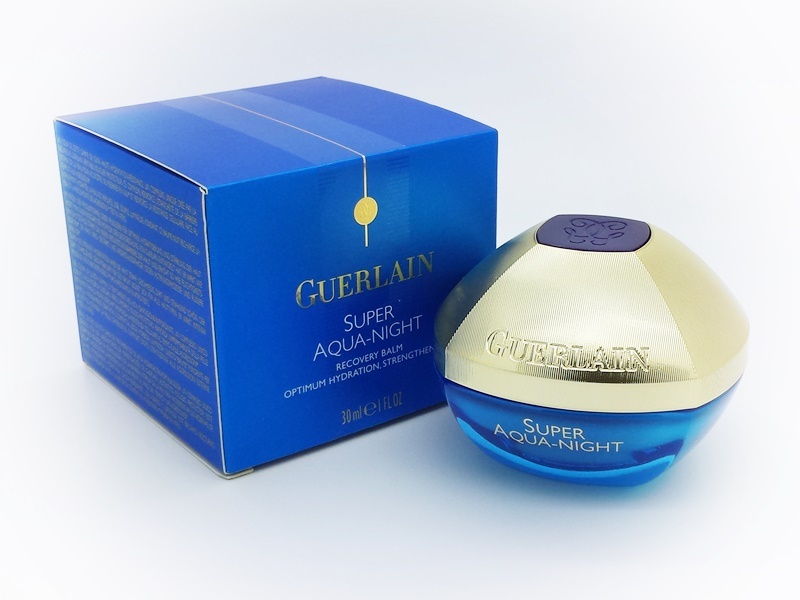 This supreme all-in-one solution is the ultimate in cleansing convenience, gently removing every last trace of makeup and pollutants while toning the skin. 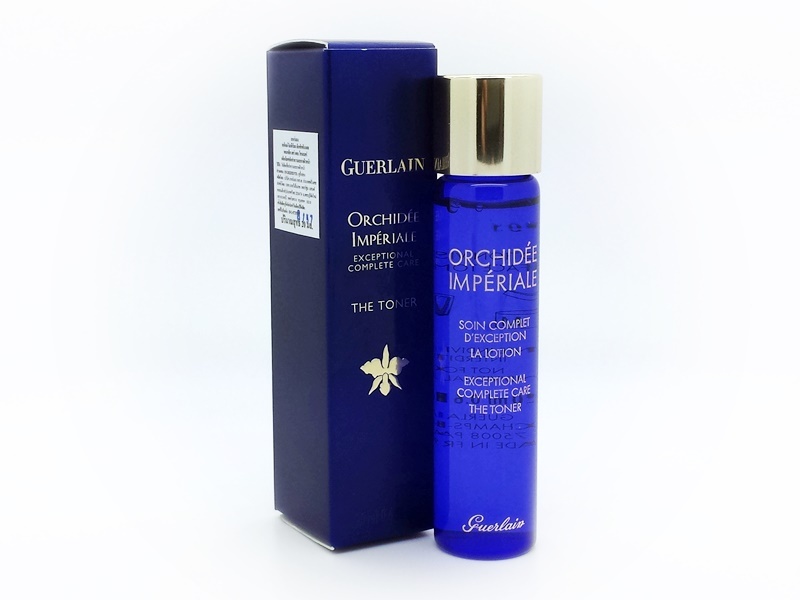 Powered by nigella oil—selected by Guerlain for its antioxidant properties—skin is left purified, toned, and hydrated. 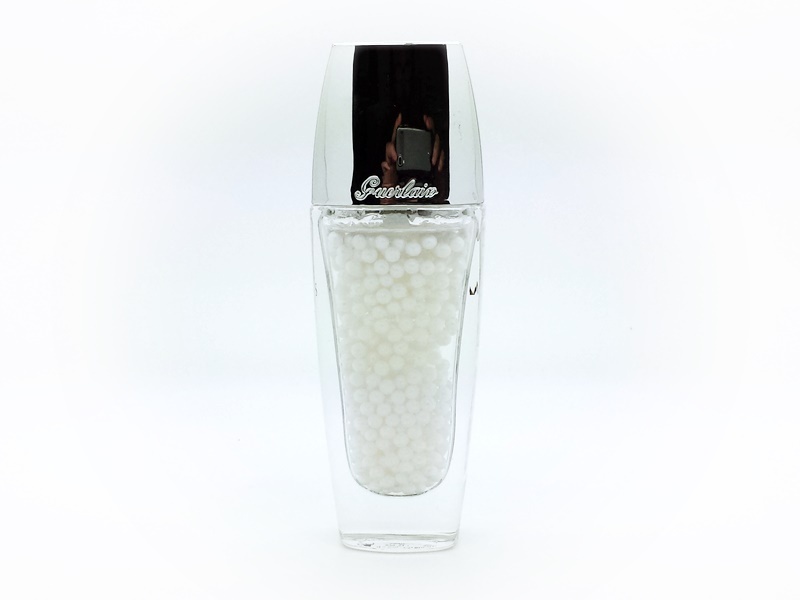 Made up of gentle exfoliating micro-pearls, this foam removes make-up and eliminates impurities. When applied, it refreshes and brightens the skin to reveal all the translucence of a skin glowing with pure, fresh radiance. Apply to the face morning and evening by mixing a drop with water to form a lather, then massage delicately onto the skin. Rinse thoroughly. 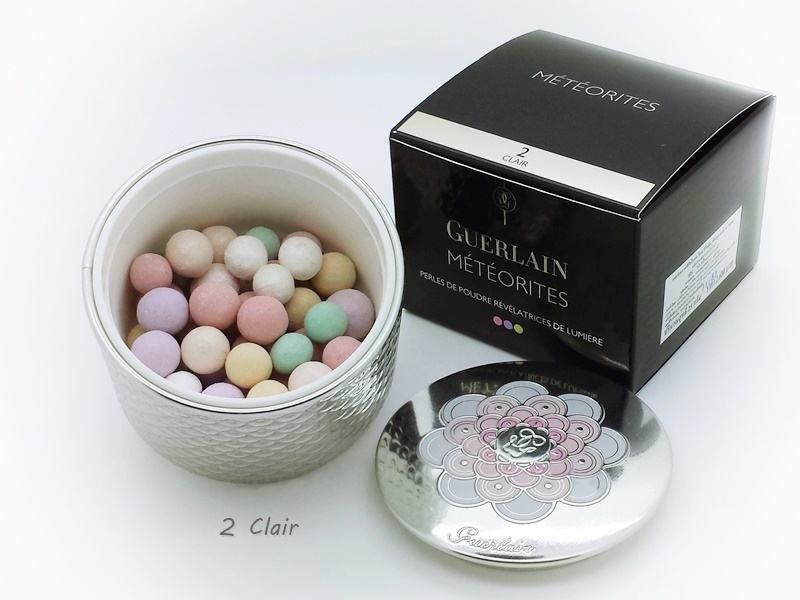 Guerlain has revealed unique multi-layer protection with an innovative spectrum of action that, like the pearl, protects the skin layer after layer. Tissue protection thanks to an ultra-high-performance PA+++ UVA/UVB filtering system combined with cell protection: skin shield technology. This cutting-edge technology reinforces the skin's natural defences against the harmful effects of UV rays* to protect it "from within". 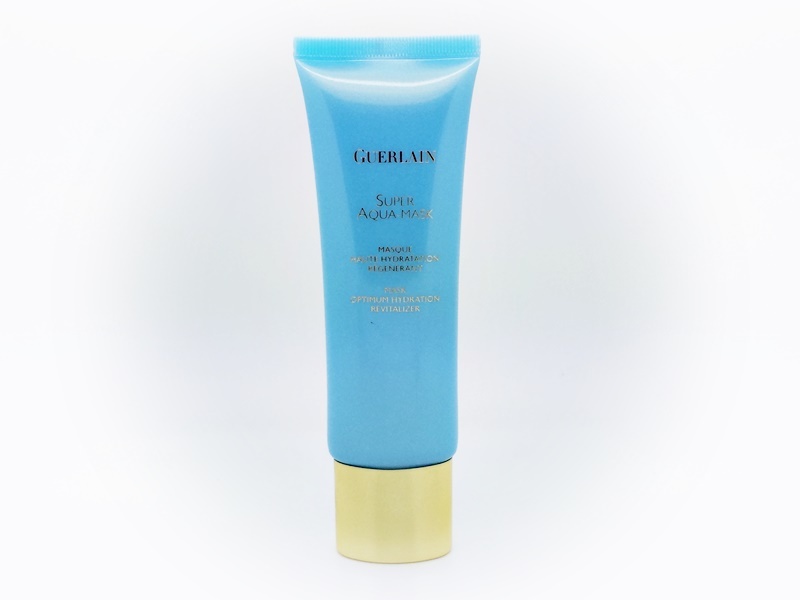 With its outstanding lightness and translucence, this ultimate protection UV Shield with SPF 50+ delivers intense and broad-spectrum protection against UV rays. 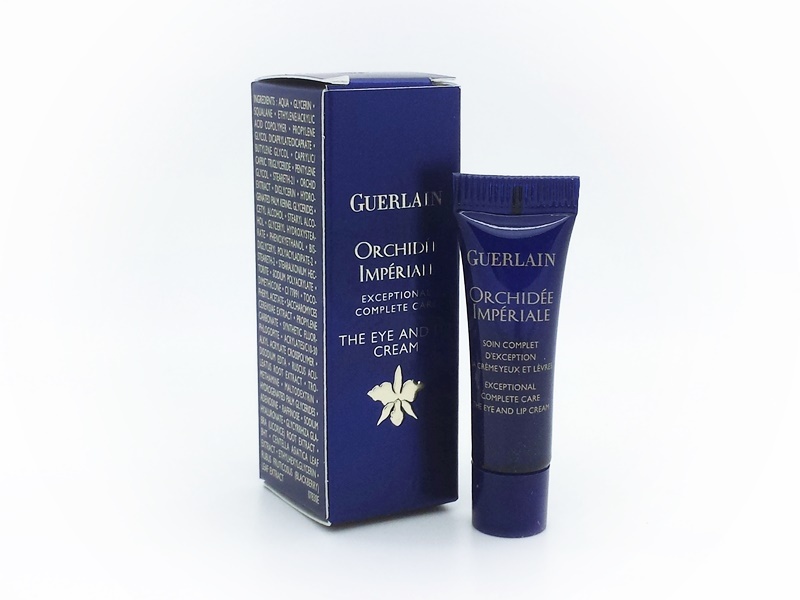 Intensely protected, the skin remains light and luminous under all circumstances. 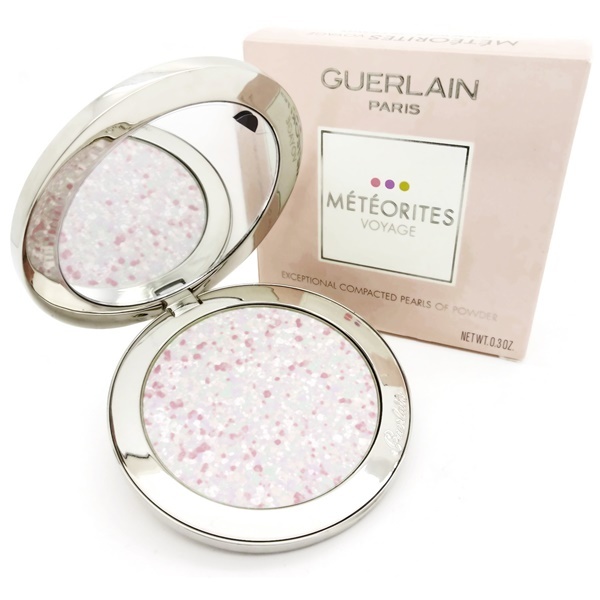 A delicate veil of light, this pearly pink, fluid Base lightens the complexion and corrects dark spots. Perfectly protected and revived, the complexion glows with a new radiance. วิธีใช้ ทาผิวก่อนแต่งหน้า หรือทาเดี่ยวๆเพื่อการบำรุงกระชับก็ได้ค่ะ เลิศมาก !!! 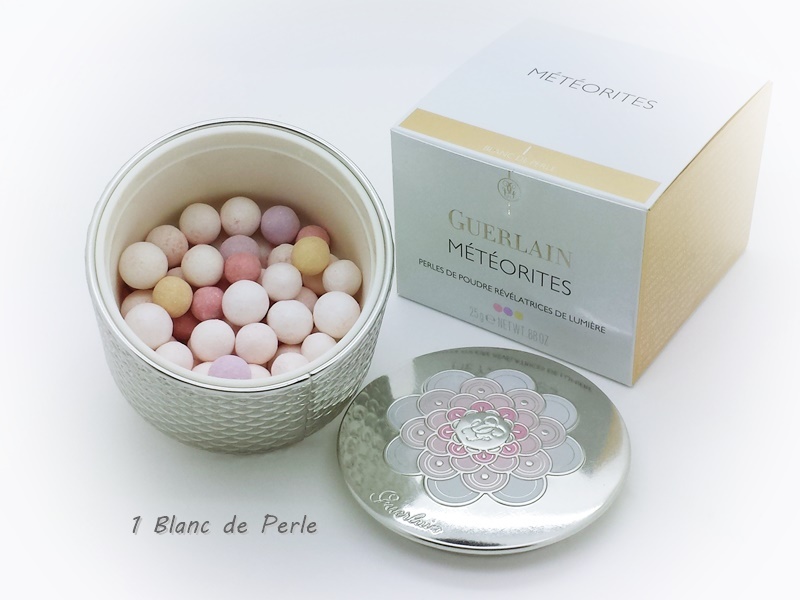 Guerlain Meteorites Pearly White Light-Perfecting Base is a gel makeup base with perals of light. 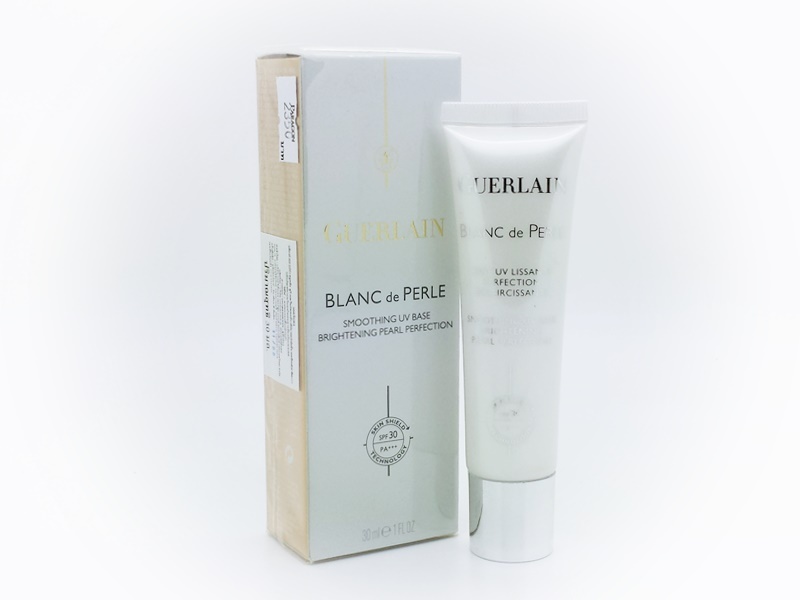 It is made of an exclusive lighthing base to camouflage discoloration, combined with pearlescent extracts to capture and reflect light and blur the appearance of fine lines without adding shine. In one step, this extraordinary gel formula perfects the complexion, and can be used before makeup or on its own. A light-revealing sheer makeup foundation with SPF 25 to even skintone, refresh, and create a youthful-looking complexion. 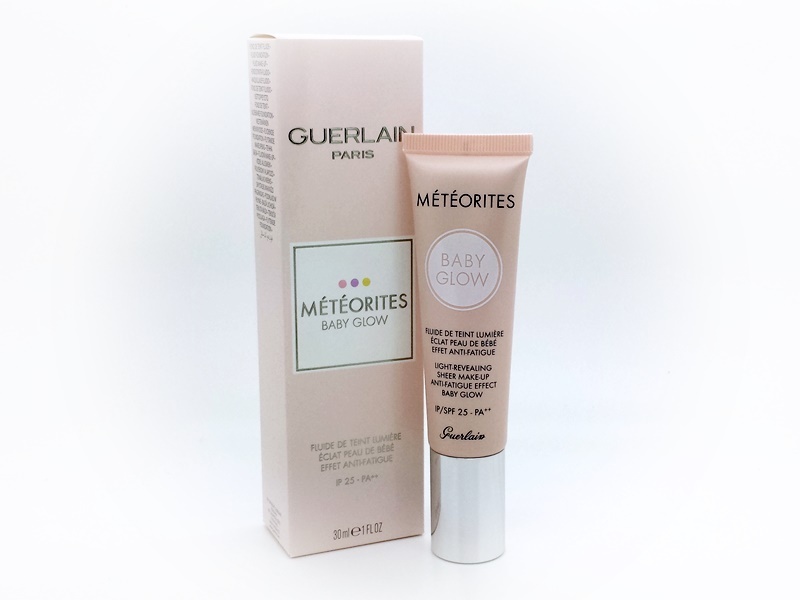 This sheer foundation restores skin’s radiance and minimizes signs of fatigue as it unifies, smooths, refreshes, and plumps the appearance of skin. It creates a natural-looking result and evens skintone without thickness, providing a mask effect that leaves the skin feeling softer, smoother, and fresher. Formulated with rainbow-perfecting technology, it’s infused with "rainbow" pearl pigments in red, blue, green, and gold shades that blend onto the skin to subtly correct, unify, and revive the complexion. The result is a face that appears more rested, plumper, and more radiant. 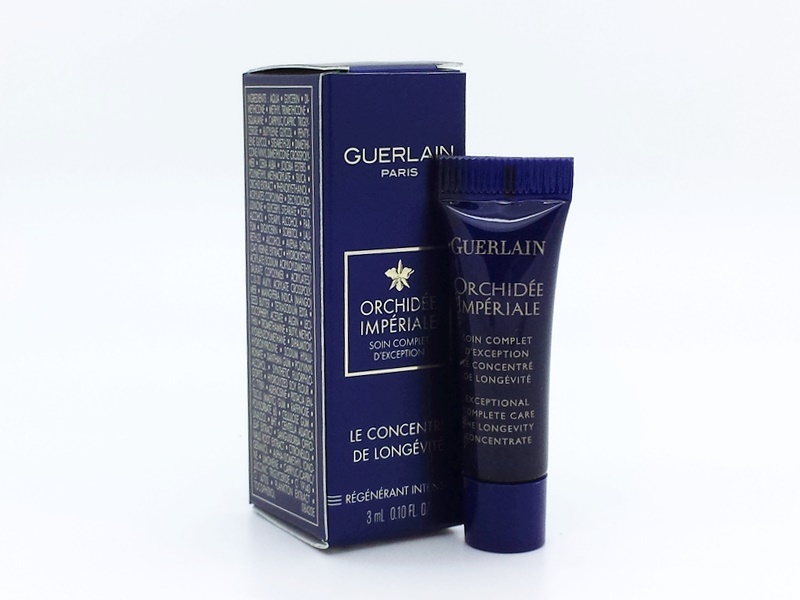 It leaves behind a delicate violet fragrance that is inimitable and ultra-addictive. 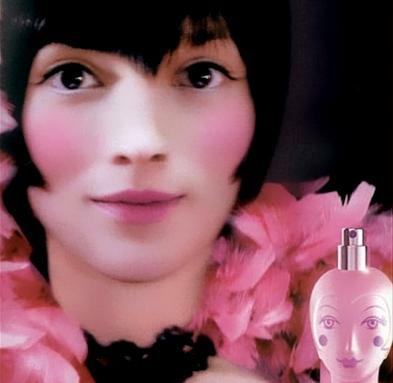 Sublimely transparent, the complexion becomes as soft and radiant as silk. The curves of the face are tightened and imperfections are erased. The nine shades of the range are so skin-fusing and natural that they leave no visible colour on the face, simply a glowing, long-wearing tone that leaves the skin looking natural. Pure and flawlessly white, pearls shimmer with deep, inner radiance. 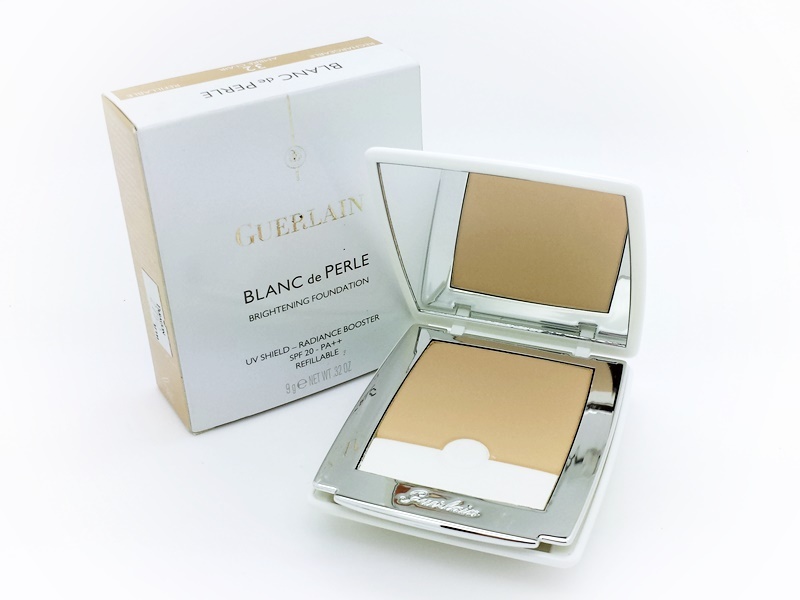 Blanc de Perle compact foundation sculpts light to recreate the pearl’s pure, round, smooth radiance on the face, for a dazzlingly perfect complexion. Out of the shadows and into the light: its three hues, which blend perfectly, sculpt facial contours, unify the complexion and maximize radiance. 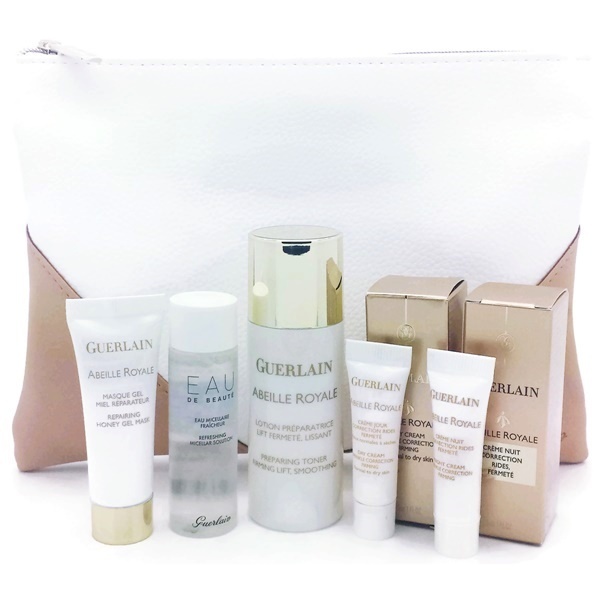 Guerlain’s latest whitening technology, Advanced P.E.A.R.L. 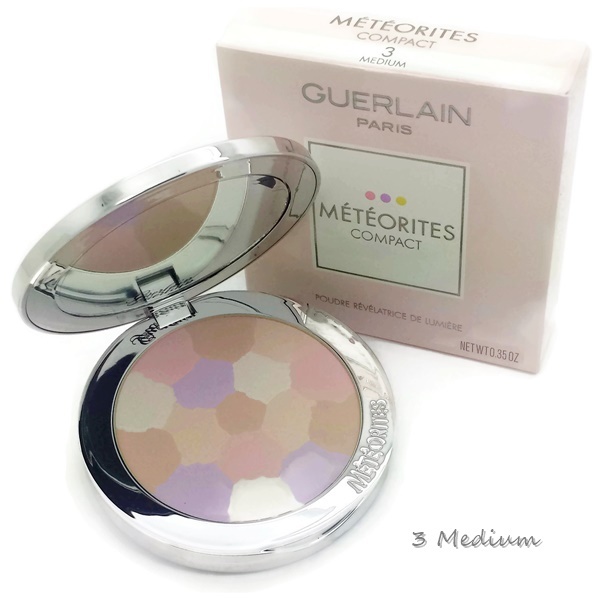 Complex, acts visibly to even out the pores and instantly illuminate the face. To preserve the skin’s beauty and clarity all day long, the formula includes a triple-action shield: cellular first, environmental and finally solar, with its SPF 20 - PA ++. 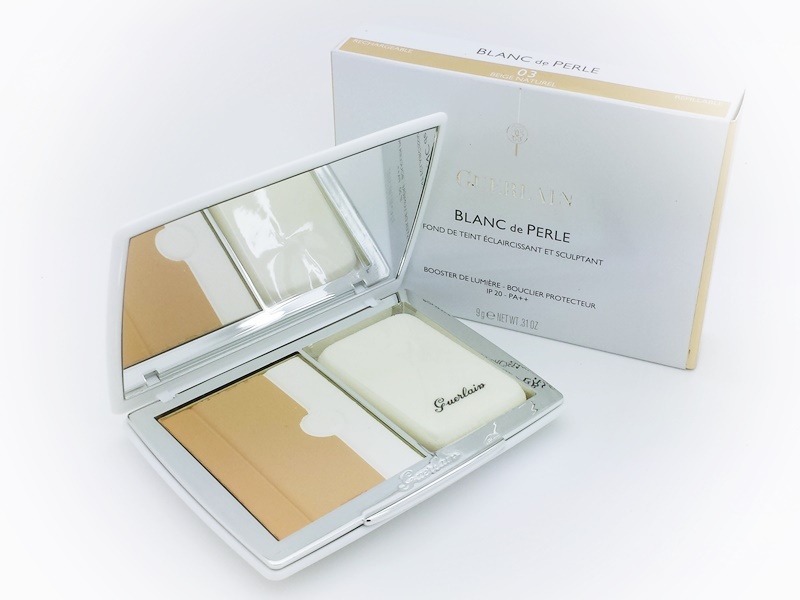 Perfectly even-toned, smoothed and protected, the complexion is literally sculpted with light; full and vibrant, the face is incredibly beautiful and radiant.Balnc de perle compact is available in 4 refillable shades. 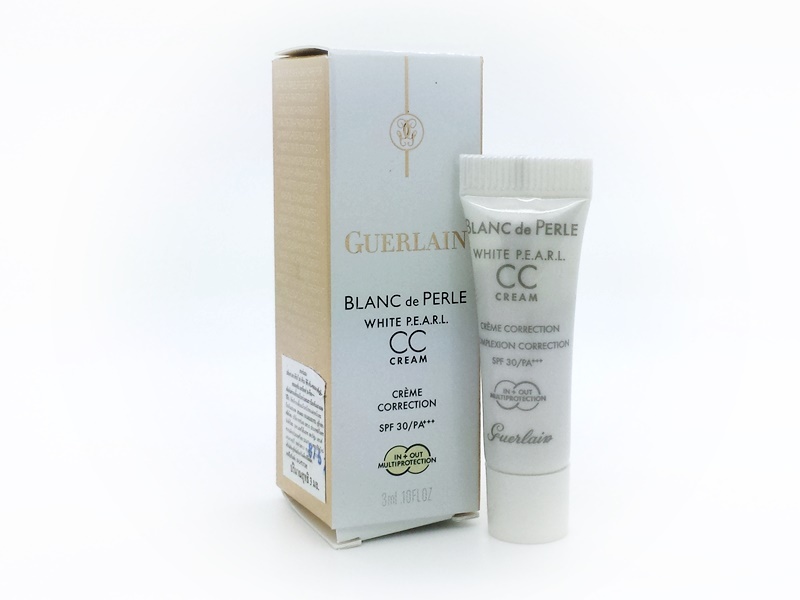 Pure and immaculately white, the pearl shimmers with deep radiance. Inspired by this glowing perfection, this soft and powdery foundation corrects imperfections for a perfectly even complexion. 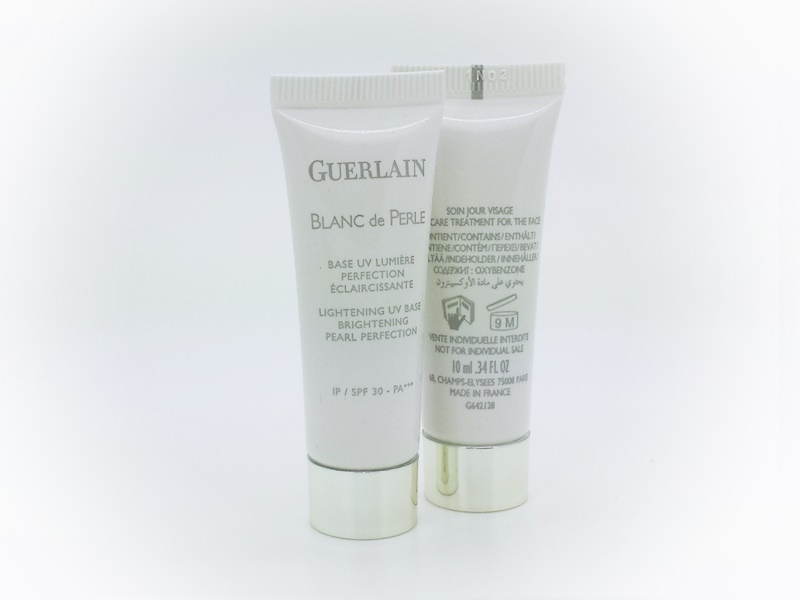 Its brightening action is based on a Guerlain whitening innovation, the P.E.A.R.L. complex. 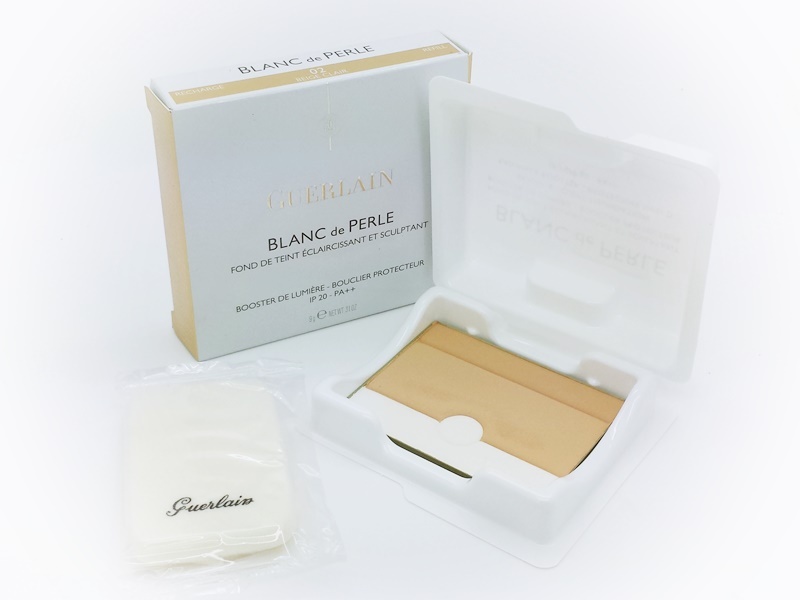 Its white ribbon, a real highlighter made of natural mother-of-pearl, instantly boosts the radiance of the face and sculpts raised areas with pure white light. An SPF 20 protective shield protects the skin from humidity and UV rays and ensures a long-lasting matte finish. 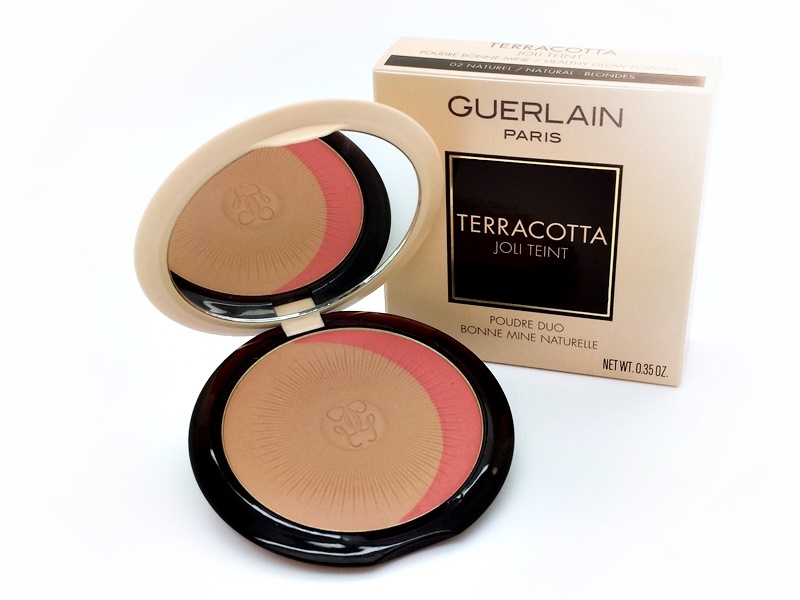 The complexion is sculpted with light and perfectly protected. A symbol of light and energy, gold is synonymous with eternity. 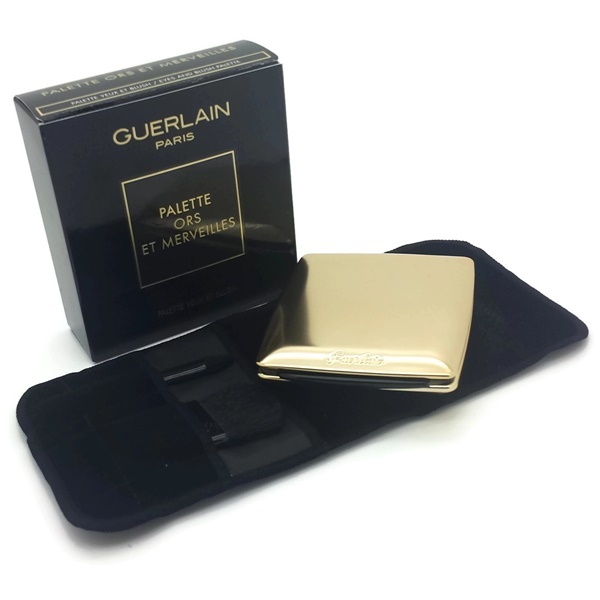 Parure Gold was created from Eclat d'Or Pigments that instantly light up and correct the complexion. 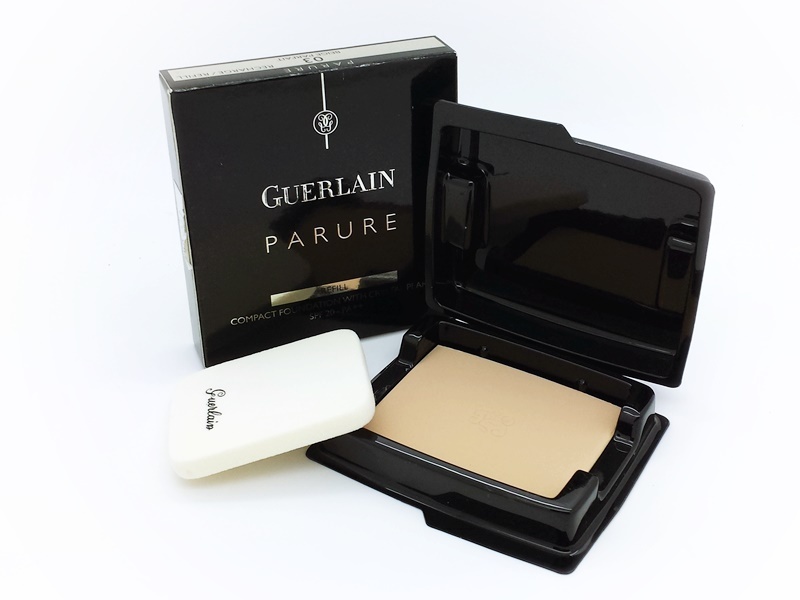 Somewhere in between a foundation and a pressed powder, this unusual and sensory compact texture is designed to give both comfort and lasting hold. 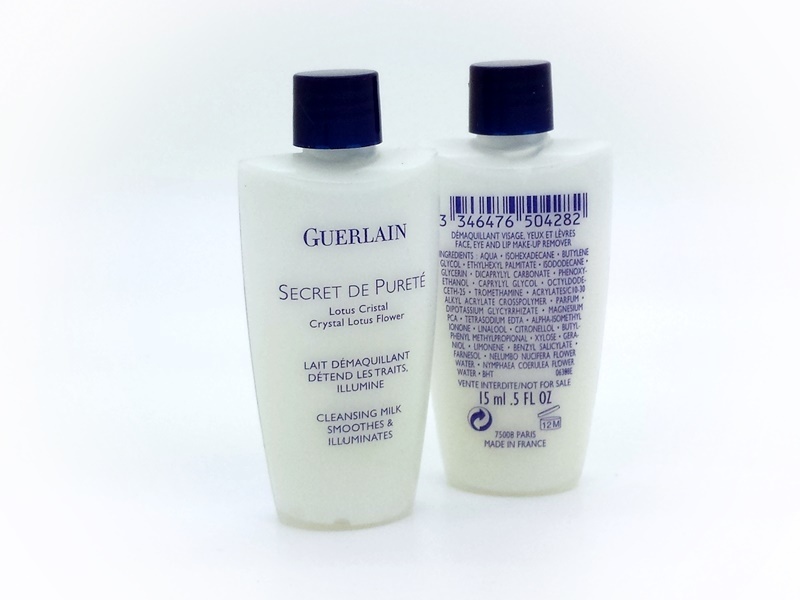 Its softness and incomparable glide-on quality embrace the skin with a light touch and without emphasizing lines. 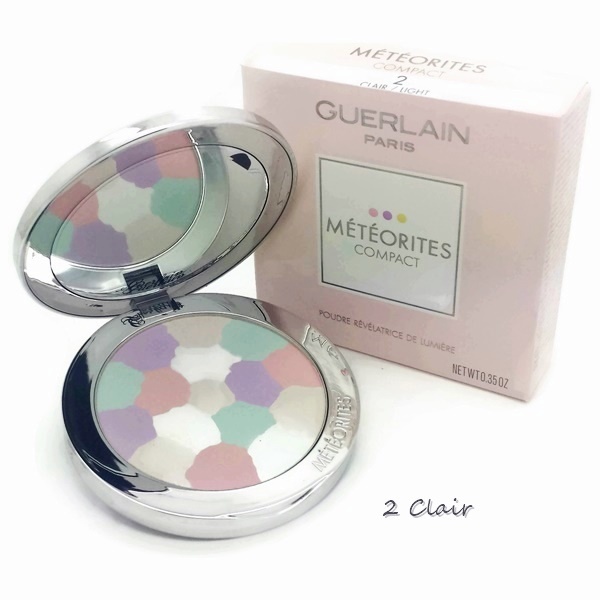 Under the caress of Eclat d'Or Pigments, dark areas light up, fine lines fade away and imperfections seem to disappear. Even, rested and enhanced, the complexion is illuminated. The face glows with new youthful radiance. Luminous and ultra-natural, the five shades of the range are warmed with yellow gold and pink gold pigments that diminish the signs of time and fatigue. SPF 10 - PA++. 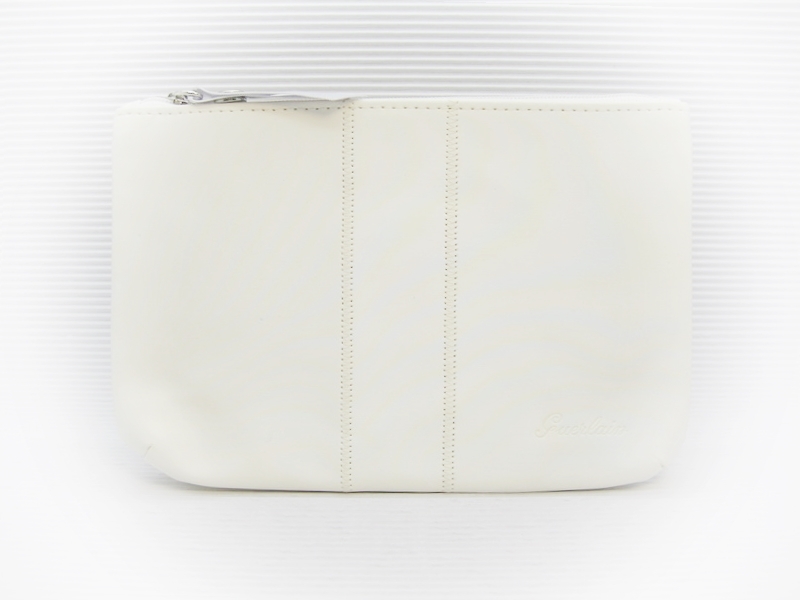 Refillable powder case. Better than a powder, a ray of light dressed in velvet. 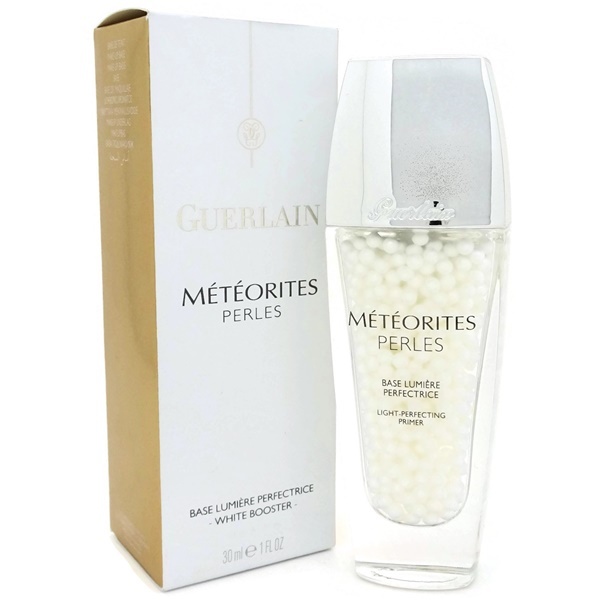 Parure evens out and mattifies the complexion with a soft, sheer finish. 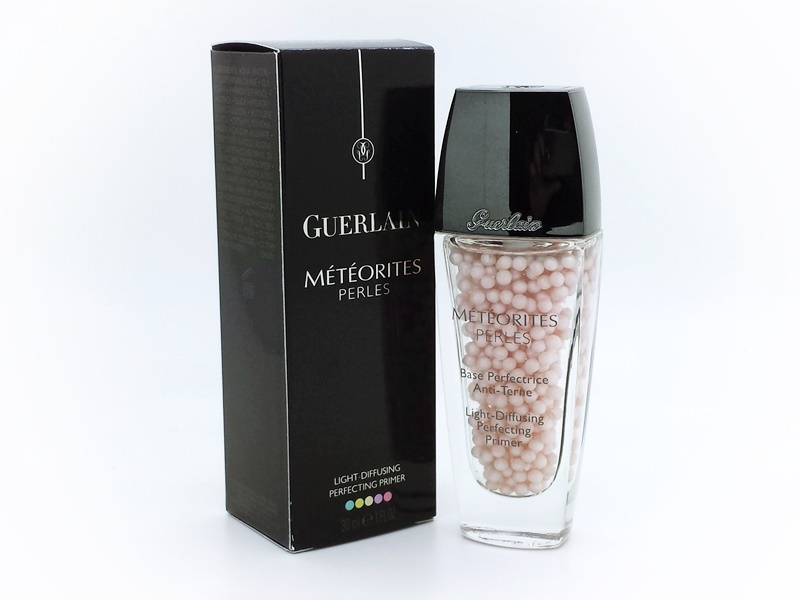 The formula is built around ultra-fine and lightweight crystal pearls that form "bridges of light" on the skin's surface. The softness of a caress, a whisper on the skin, wafts of Crystalline Rose... Time goes by in beauty, while skin stays velvety. 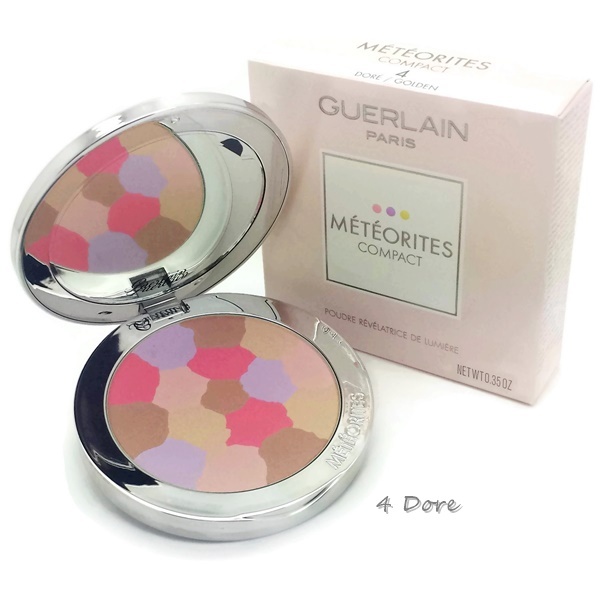 Smoothed and mattified, the complexion reflects rays of light for skin that dazzles with radiance and vitality. A real skin jewel with a satin feel! 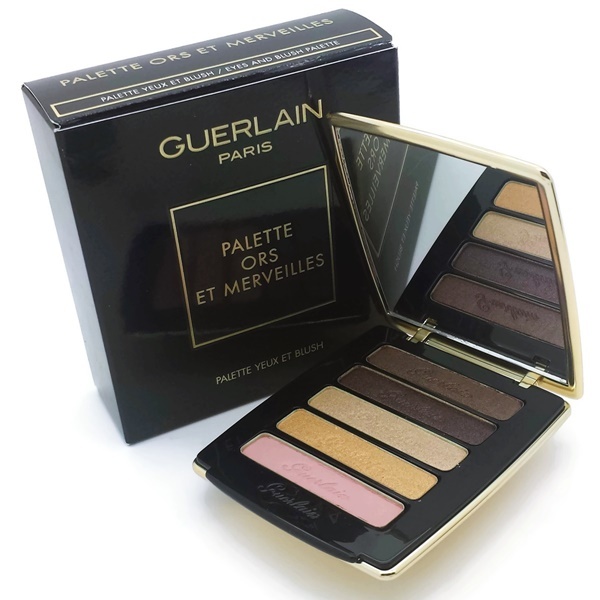 The six shades of the Parure range give the complexion the pure, soft glow of crystal. SPF 20 PA++. 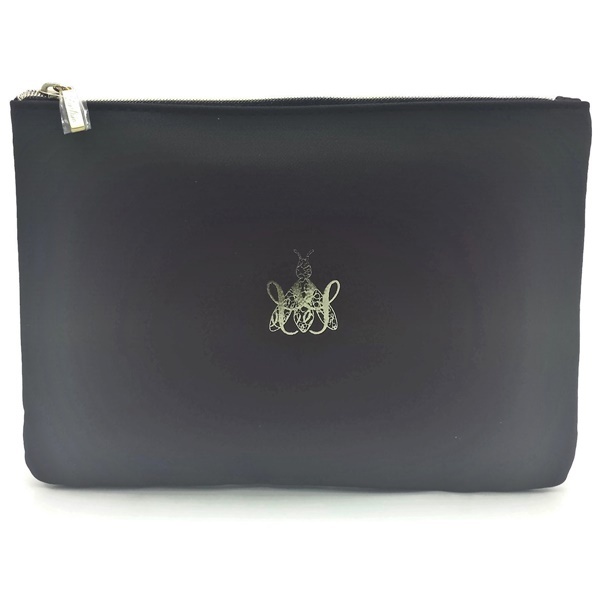 Refillable powder case. 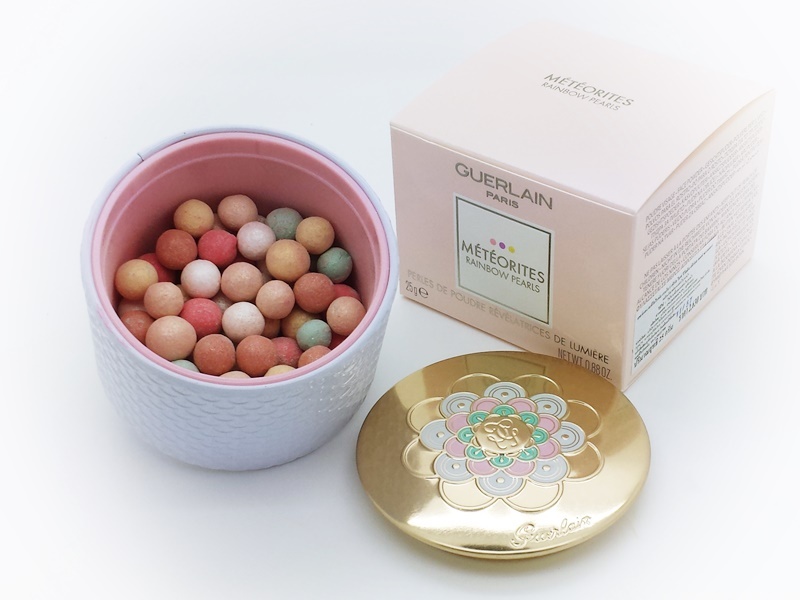 A magical loose powder that is wonderfully fine and exceptionally transparent, Les Voilettes mattifies and sets make-up without leaving a trace. 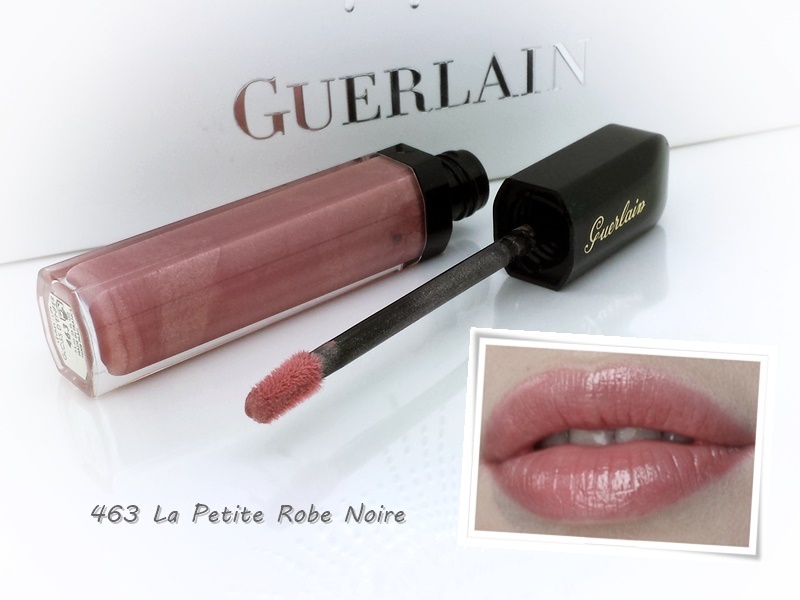 It remains invisible and fuses with the skin, like a smoothing veil with a perfectly ethereal texture. Never before has a unifying and mattifying effect for the complexion been this subtle and comfortable. The bare skin effect is strikingly natural. The complexion is mattified, velvety and natural. Enhanced in its every dimension. 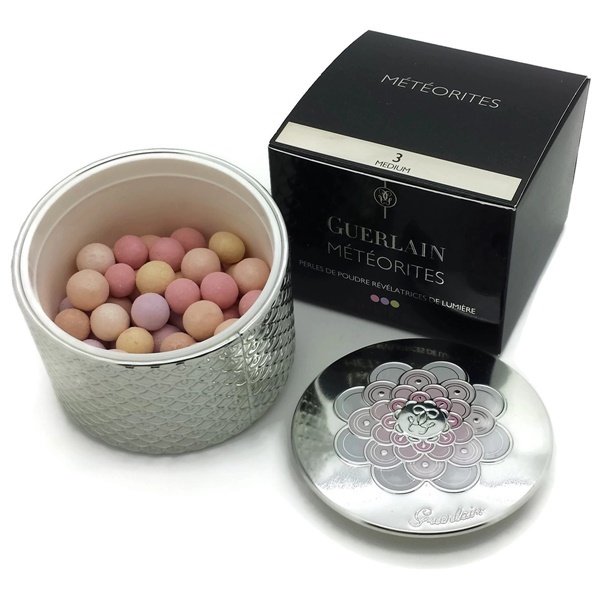 The practical case of Les Voilettes Mineral comes with an integrated sieve, a controllable opening system and an amazingly soft powder puff. La Petite Robe Noire goes out on the town! 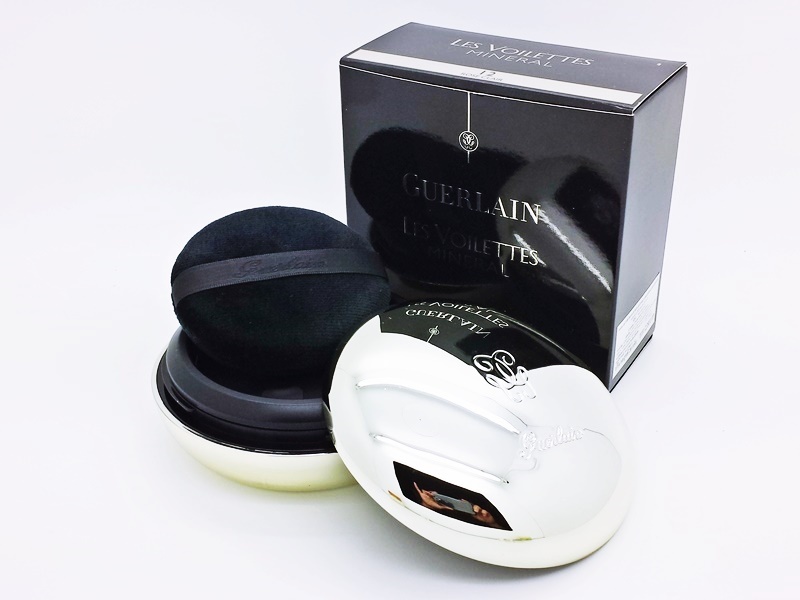 A graceful press of the bulb releases the airy loose powder, a joyful rush of the delightful scents of La Petite Robe Noire. The deliciously fine powder dresses up skin and hair in a shimmering iridescent pink halo. This fresh, cheerful and magnetic shade, as flattering and captivating in the daylight as it is under the spotlights, creates a multitude of glimmering reflections to light up a swish of the hair or bare skin. The embodiment of Parisian chic! The bottle of La Petite Robe Noire is sensually lacquered with black, from its base to the curves of its shoulders. To electrify its admirers, it is accessorised with a neon pink fabric bulb and lights up with an outline whose contours are engraved in the same tone and highlighted with neon yellow. 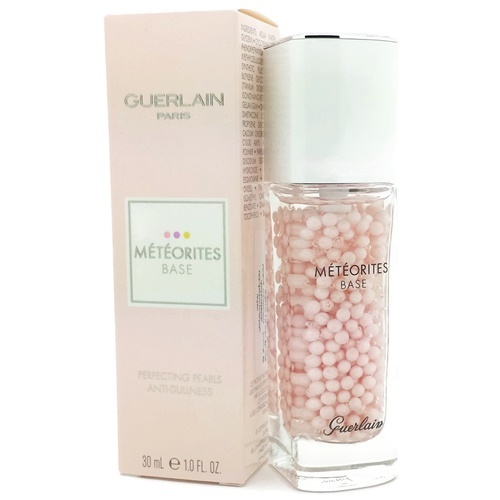 During summertime, the Météorites reinvent and adorn themselves with delicate and pastel colors… The mythical Pearls are declined in a subtle blend of light and bright colors to envelop the skin in a pure radiant halo of light. 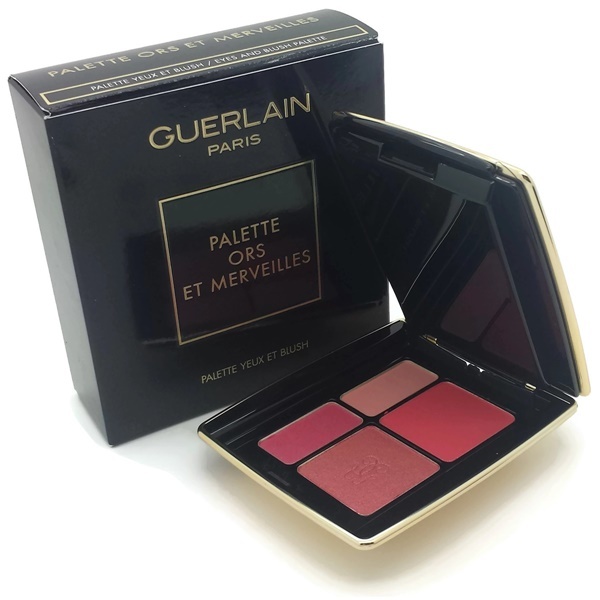 The complexion appears even, radiant and luminous with a soft, light and matte finish. 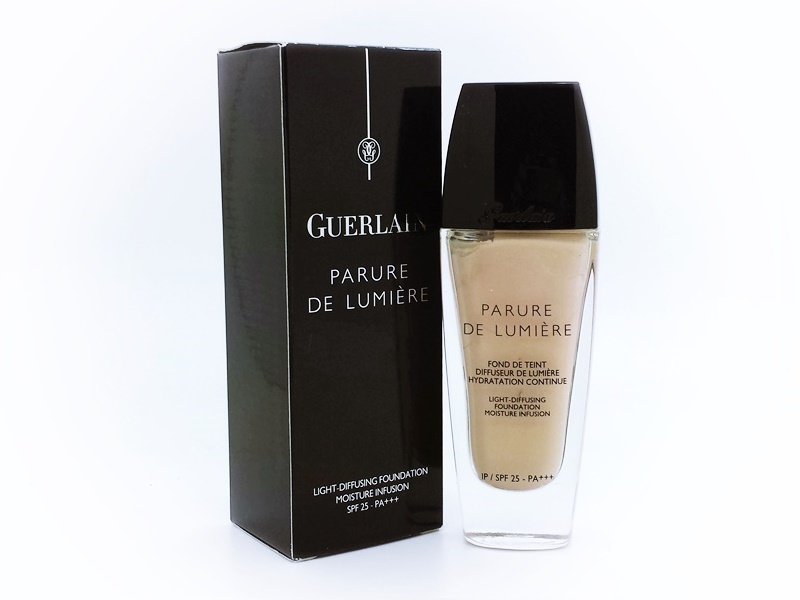 Its single shade, Mythic, offers universal correction and natural brightening of the complexion. Refillable powder case. Do you really have to choose between a cheerful fuchsia jewel and a delicate pink macaron? Both make the cheeks blush with happiness! You will love to swirl it over your skin. 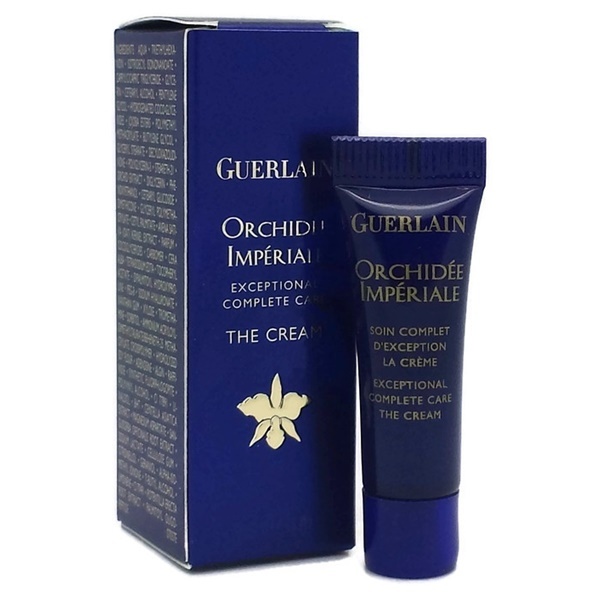 Its cream texture leaves a satiny finish on the skin with a delicious violet scent. Presented in a handy yet feminine palette, this iconic finishing powder is the ultimate secret to illuminating one’s complexion with an incomparable radiance. 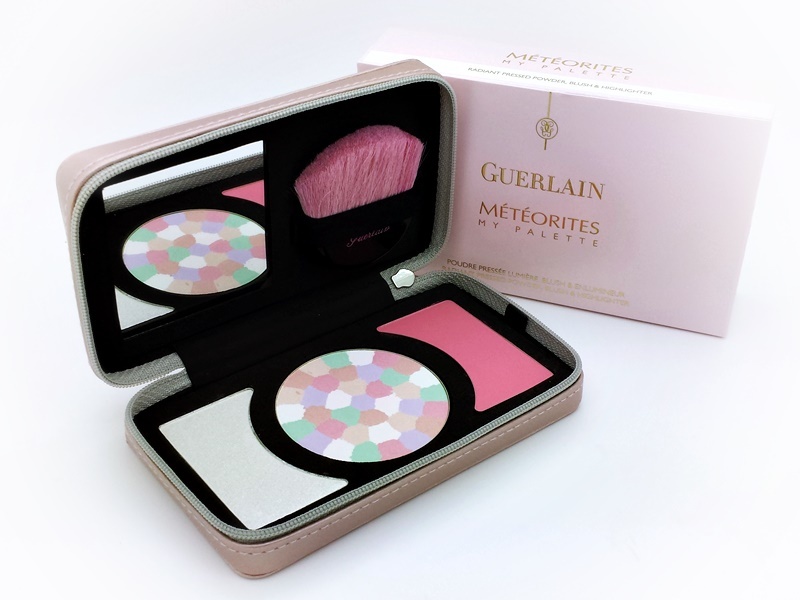 Includes a powder brush, mirror and three powders: the famous Météorites Voyage compact, a highlighter and a blush. Four centuries ago, in India, Emperor Shah Jahan fell hopelessly in love with Princess Mumtaz Mahal and had the enchanting Gardens of Shalimar built for her. 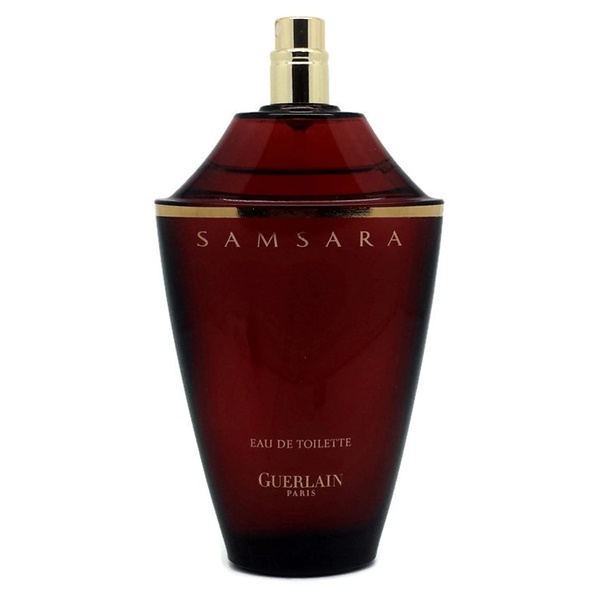 Inspired by this passionate love story, Jacques Guerlain created the legendary Shalimar in 1925. 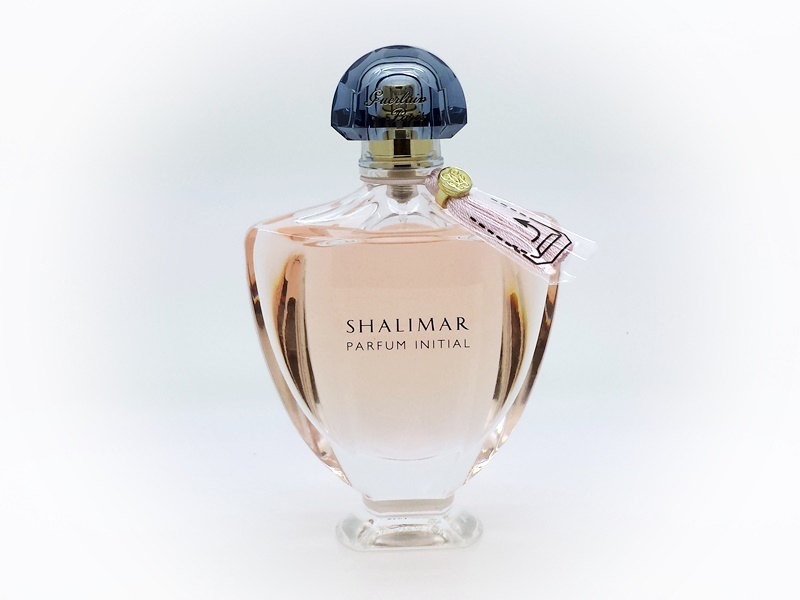 85 years later, Shalimar Parfum Initial reinterprets the legend in a new modern and luminous creation. An initiation into voluptuousness, sensuality, an initiation into Shalimar. It is the moment when it all begins, like the freshness of the first time, like a captivating new emotion. Shalimar Parfum Initial takes up the bottle with its sensual curves and the blue sapphire stopper inspired by the basins of the Gardens of Shalimar. Absolutely modern, it dresses up in a delicate tassel in capricious blue tones. 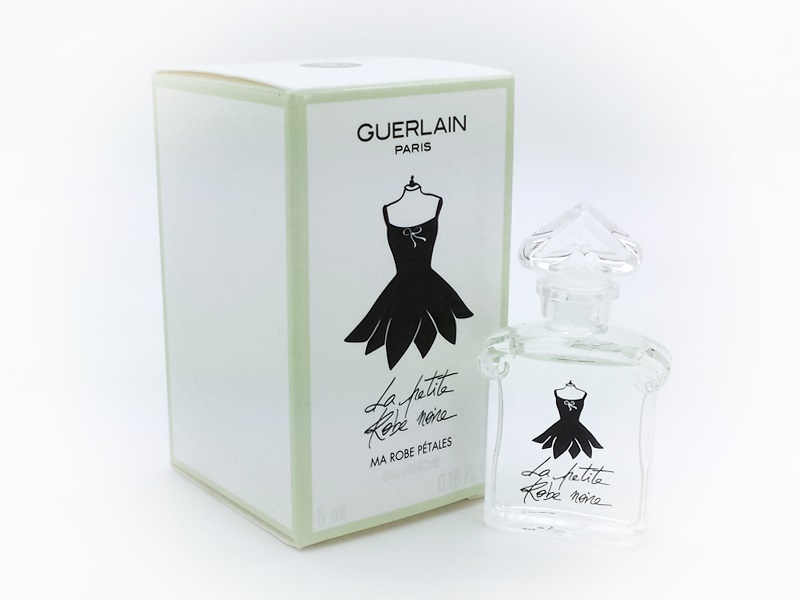 La Petite Robe Noire Eau Fraîche is a green floral fragrance, a new orchestration with a light, fresh, and sparkling aura. The fragrance takes off with an explosion of mandarin scattered with a shower of green notes. Then the rose notes bloom refreshed by an armful of freesia, caressed by the sensuality of apricot, and dazzled by sunkissed notes. A delicious hint of pistachio offers an indispensable gourmand touch imbued with the house style. Finally, white musk and patchouli enfold the entire composition in a delicate, silky halo. 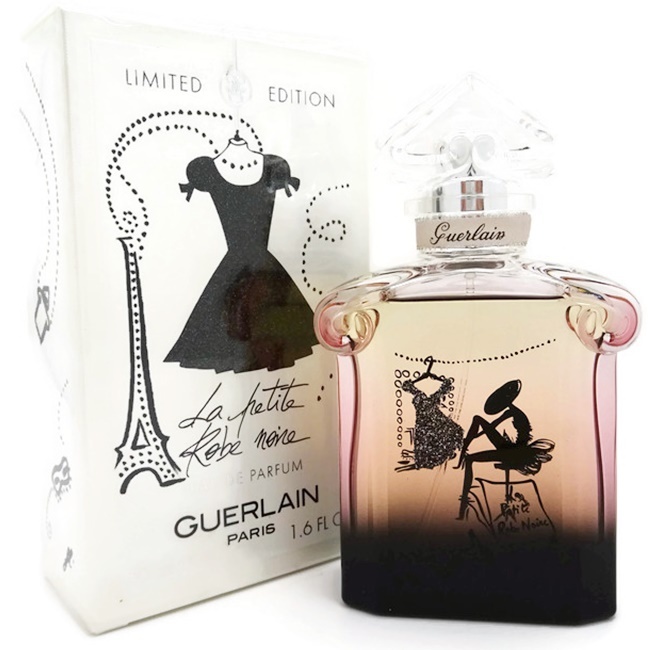 The bottle captures the feeling of the fragrance—like a spring dress embroidered with petals and trimmed with a delicious note of pistachio. Deliciously sparkling with a plunging neckline, it was made to be worn at the dawn of summer. Mandarin, Bergamot, Lemon, Green notes. Revive yourself with a green tea as the azure waters lap gently in the breeze. A moment of contemplation as you savour an energising and thirst-quenching elixir. Teazzurra is a relaxing and refreshing essence. 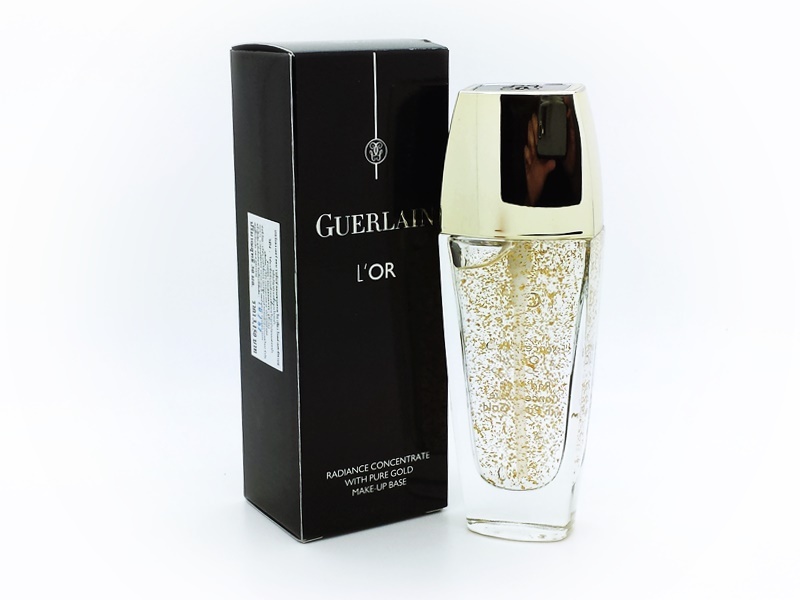 Its pure and refined bottle with a golden mesh celebrates the iconic Bee bottle. 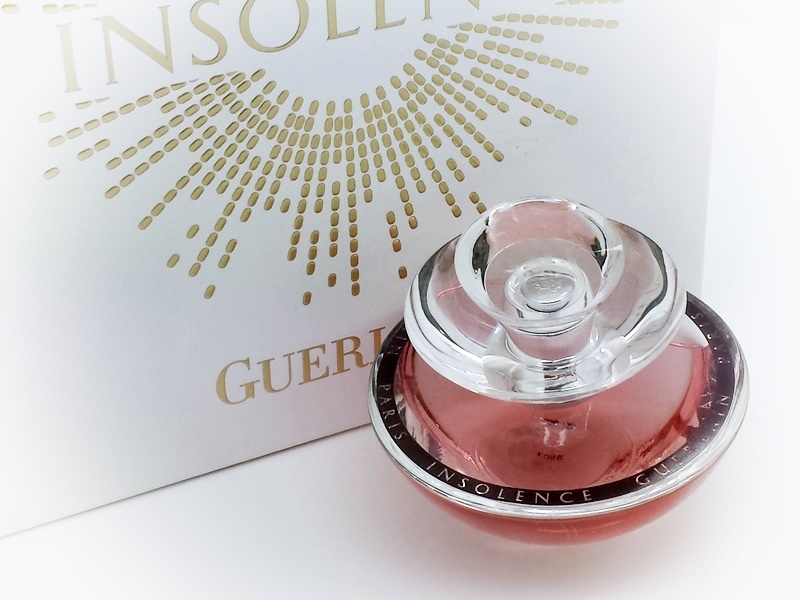 The new fragrance from the Guerlain Aqua Allegoria collection is named Nerolia Bianca. The fragrance comes out in late March 2013. With this creation Thierry Wasser tried to reconstruct every fraction of a bitter orange tree; from its flowers, fruits and twigs to leaves. The scent is very fresh and citrusy. It contains accords of orange, bitter orange, orange blossom, neroli, twigs and leaves of orange and petit grain. My Insolence is a completely new orchestration of Insolence with warm, floral notes. 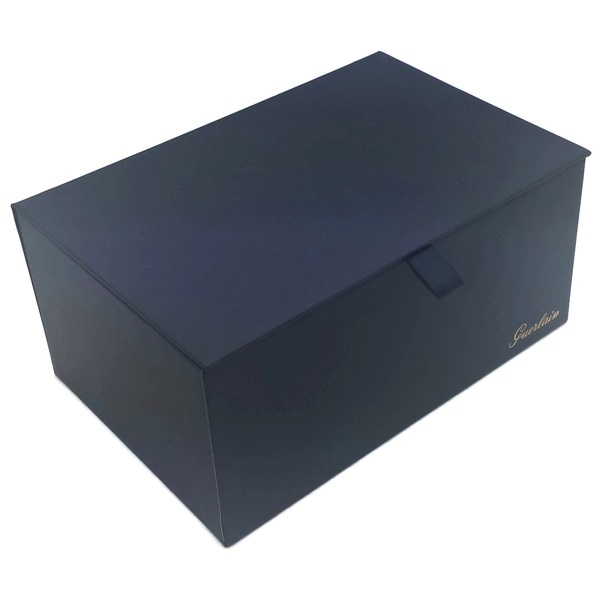 A delicious encounter that reveals your emotions and private feelings. This self-discovery encourages you to finally reveal a facet of your femininity. Shalimar Parfum Initial – scent of desires, joy and sensuality arrives in a flacon which reminds us of shape of the traditional edition. The new bottle is taller and sleeker than the previous. It is decorated with blue stopper and blue tassel on the neck of the flacon. Liquid of the flacon is coloured in warm pink. 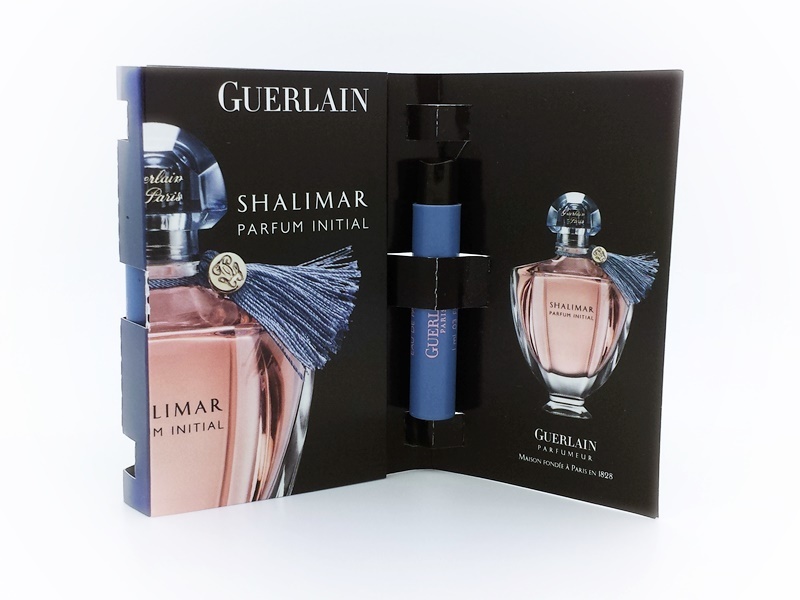 Composition of Shalimar Parfum Initial is created of citruses, green notes, flowers, woody accords and oriental scents. Starting from citruses, the composition adds zest of bergamot and orange. Rose flowers and jasmine enjoy embrace of woody accords of vetiver and patchouli, while oriental notes of vanilla, white musk and luscious tonka give seductive warmth to the whole composition. Green notes provide a fresher tone to the composition. Face of the advertising campaign for the new Shalimar Parfum Initial is Natalia Vodianova, photographed naked. These photos are supposed to represent innocence and chastity of woman's body, new Eve. The photos were taken by Paolo Roversi. กระเป๋าเครื่องสำอางค์ หนังด้าน สีน้ำตาลดำเข้ม ทรงแบน ขนาด 21*15 cm. กล่องเอนกประสงค์ ใส่เครื่องประดับ ที่ฝา มีตัวแม่เหล็กดูดล๊อคฝา ขนาด 14*10*7 cm.